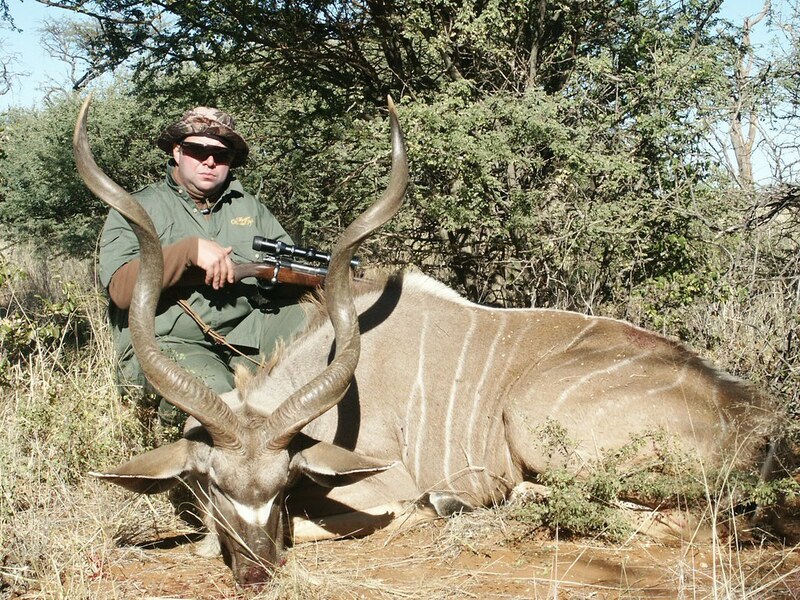 Hunters Namibia Safaris is a highly acclaimed Namibia luxury hunting safari company founded in 1984. 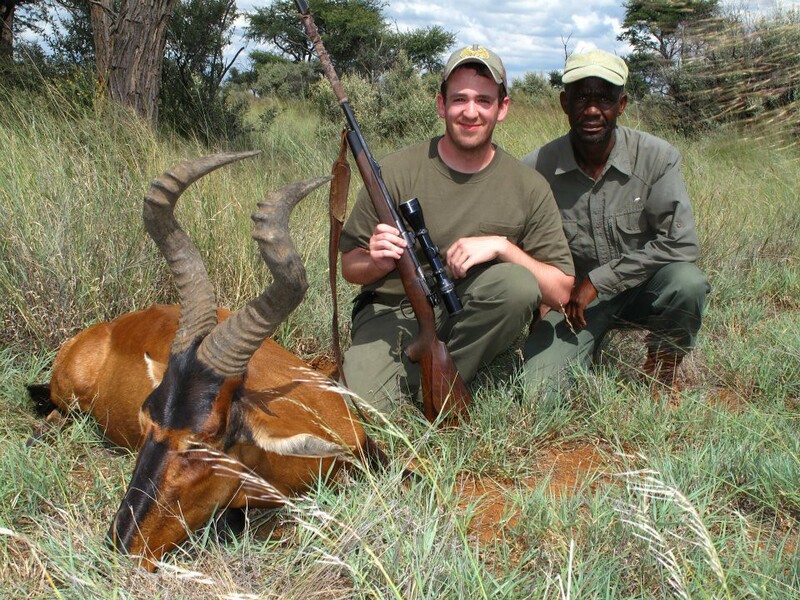 Hunters Namibia has an international reputation as Namibia’s premier safari company. A highlight of every safari is that the protein from your hunt is critical to the 260+ vulnerable children at the local school nearby. You will have the privilege of delivering the meat to the school! 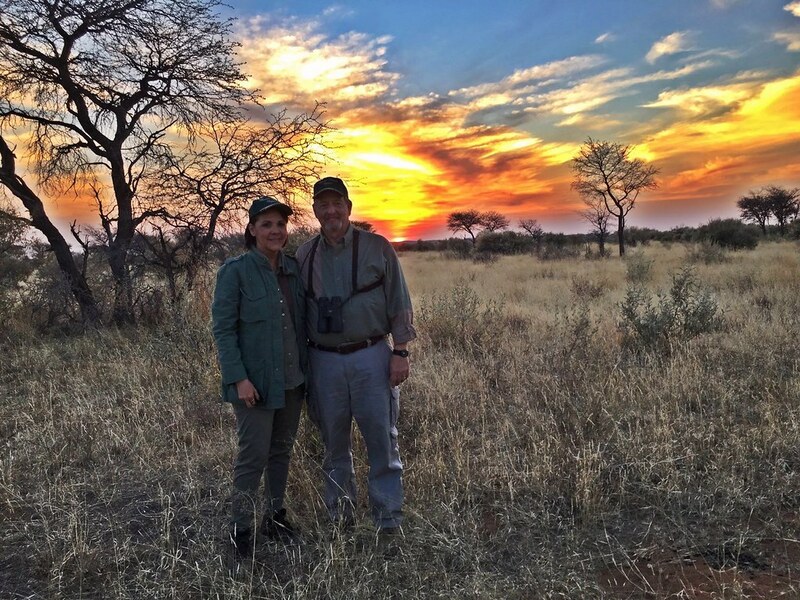 Presidents of Safari Club International, Dallas Safari Club and Shikar Safari Club have chosen this outfitter as their safari destination. 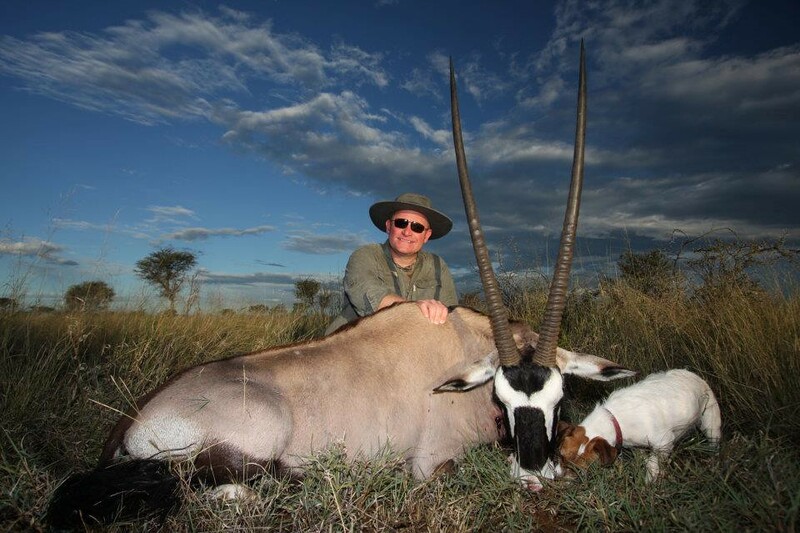 Craig Boddington, the famous American Hunting writer, has hunted here on three occasions and makes numerous references to these safaris in his articles and books. 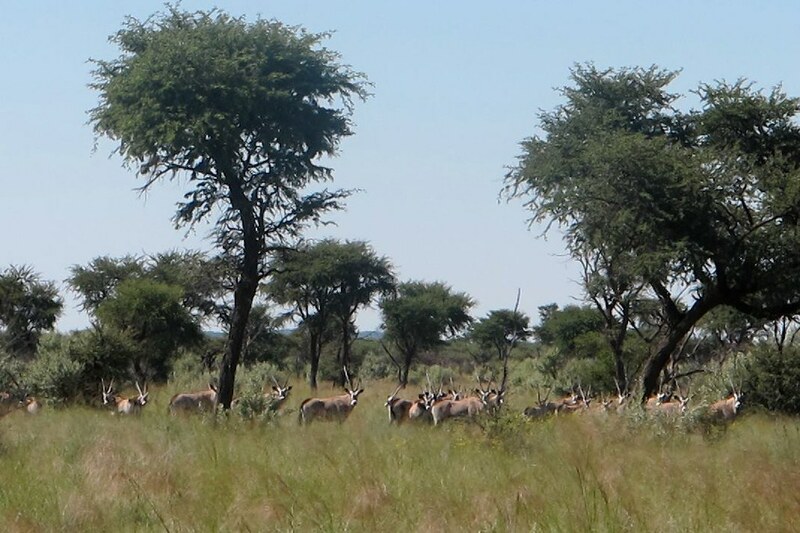 This is the ideal hunting destination for first time African hunters, experienced well-traveled hunters as well as non-hunting observers and family groups. 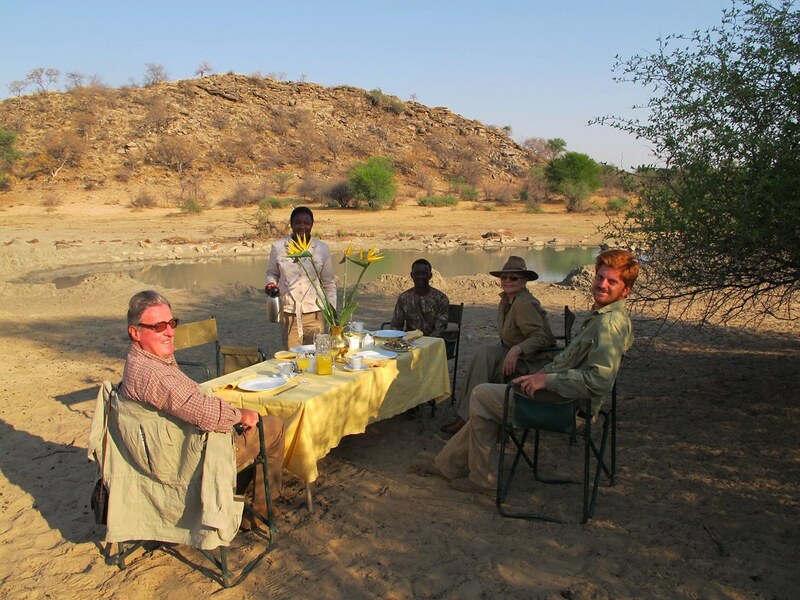 Once you have experienced the genuine warmth of this family, uniquely Namibian hospitality, as well as the excellent hunting, you are sure to want to return to this African paradise. The vast majority of clients are returning clients. The hunting area is privately owned by the family and covers an area of over 50, 000 acres (approximately 80 square miles) of pristine wilderness area populated only by free ranging game. An adjoining property adds another 40 square miles to the hunting area. 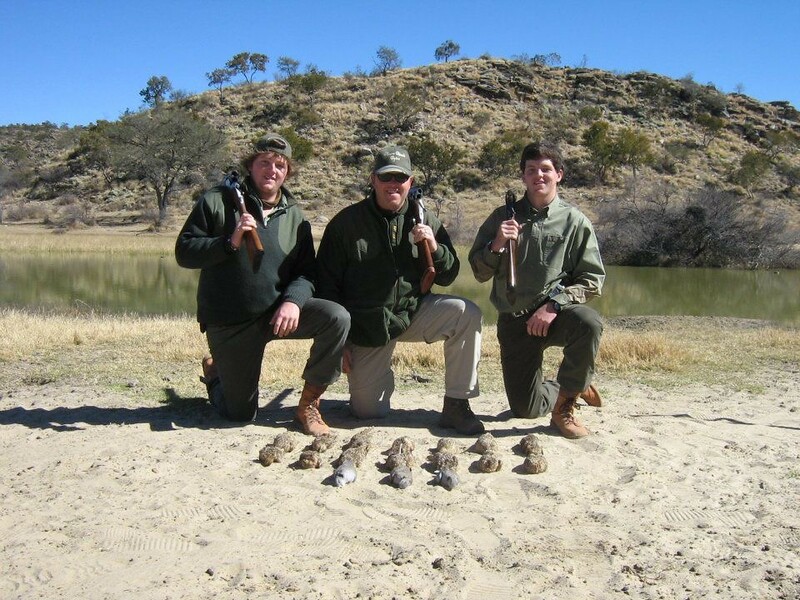 24 species of huntable game as well as an impressive variety of game birds (depending on the season) are available for trophy hunters and wing shooting enthusiasts. Many additional species can be viewed and photographed. 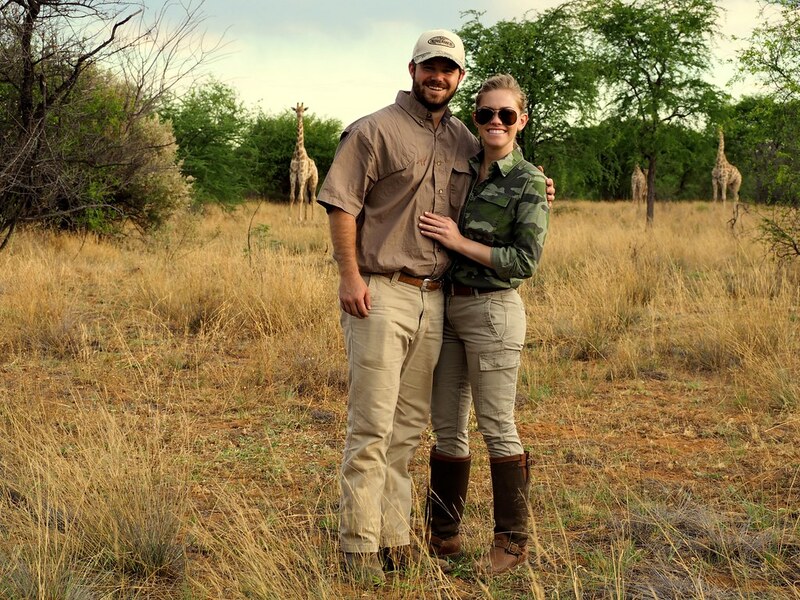 The family’s dedication to the wildlife, environment, local communities and their country is evident in every aspect of their operation. 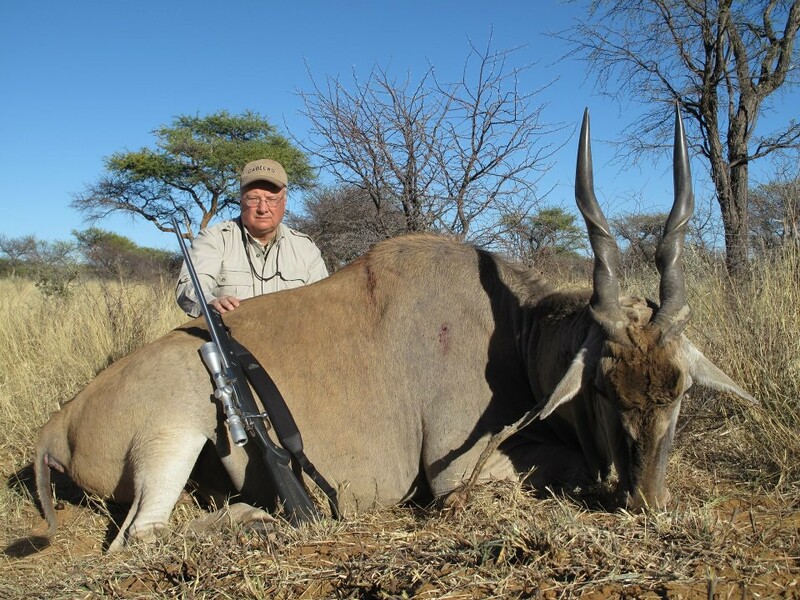 The family is actively involved in the Namibian Professional Hunting Association- NAPHA, and is personally involved with the Namibian government at every level. The family are twelfth-generation Africans, who are passionate about their country and continent. Trophy quality is consistently outstanding due to the decision to go for exclusivity rather than to commercialize. Records show that 92% of trophies taken over the past 27 years qualify for the top half of the SCI Record Book. On average, hunting clients take one trophy per day, but no limit is placed on the number of species that you may take during a specific safari period. 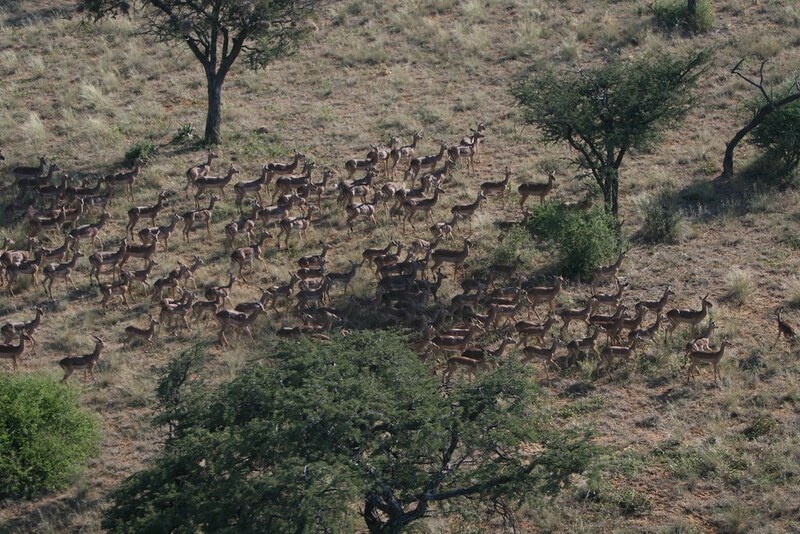 Short safaris are, however, not recommended as much of the pleasure of hunting, as well as appreciation of the environment, is lost during a high pressure safari. “”80 square miles of unfenced wilderness, hundreds of animals and only one hunting party, it doesn’t get any better. 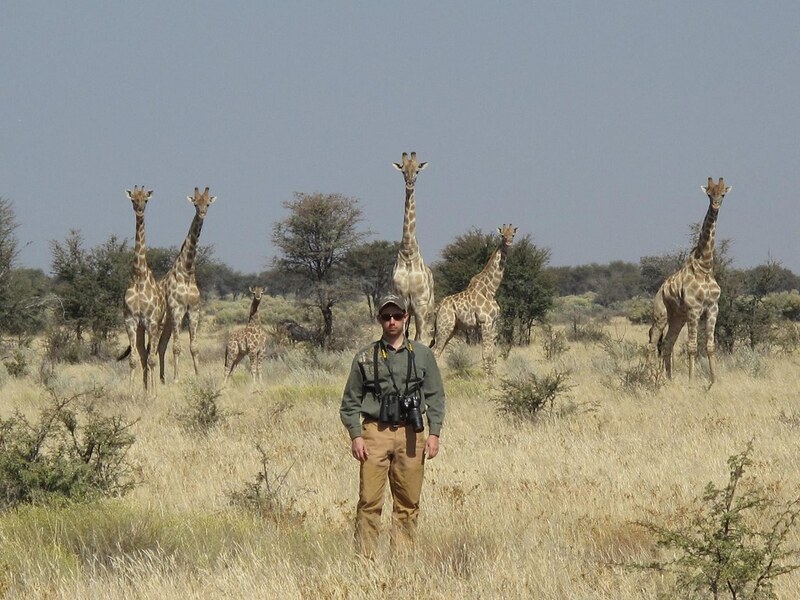 I have hunted for 40 years on 4 continents and Hunters Namibia is by far my favorite experience. My favorite place for hunting free range animal using spot and stalk techniques. Marina and the staff at Hunters Namibia make sure even the smallest details are taken care for from the time they pick you up at the airport until you leave. Johnny, our PH, is a master of using terrain and vegetation as cover to get you into the shooting position you are comfortable. 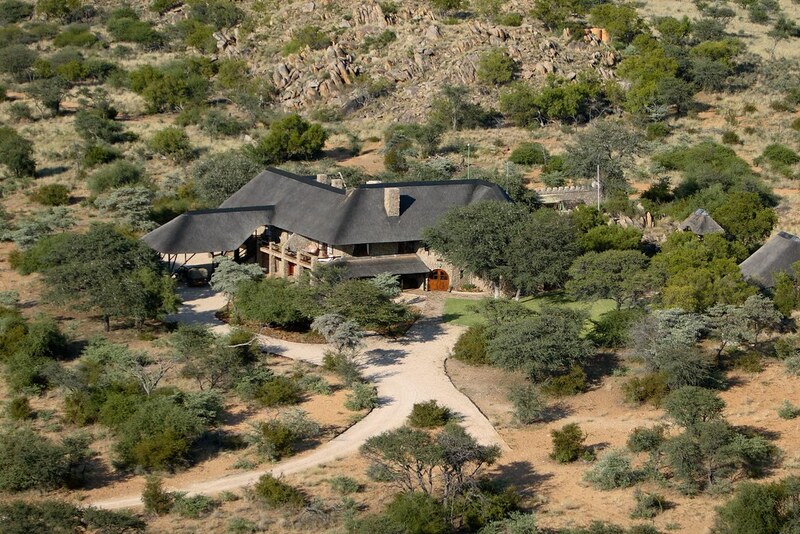 The vast land you will be hunting is situated about a 45 minute drive from Windhoek International Airport. The property covers an area of approx. 80 square miles and is populated by an abundance of game. 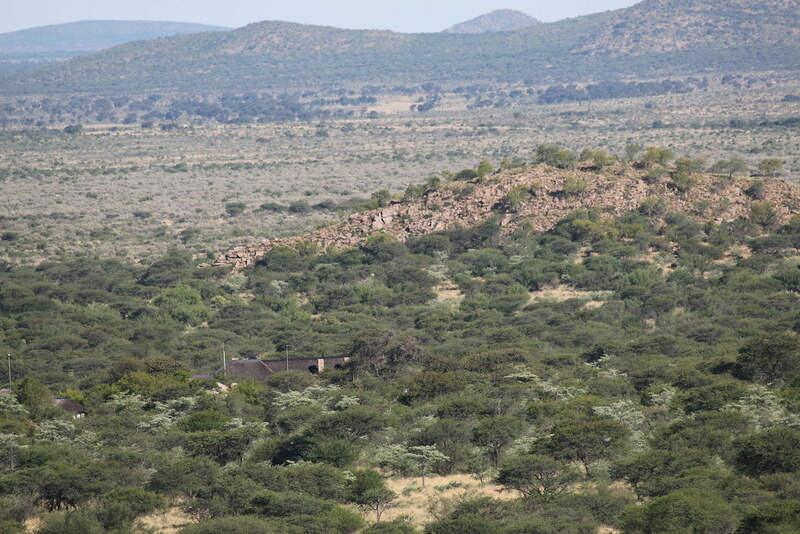 The terrain consists of small rocky hills with huge savannas and patches of bushy areas. 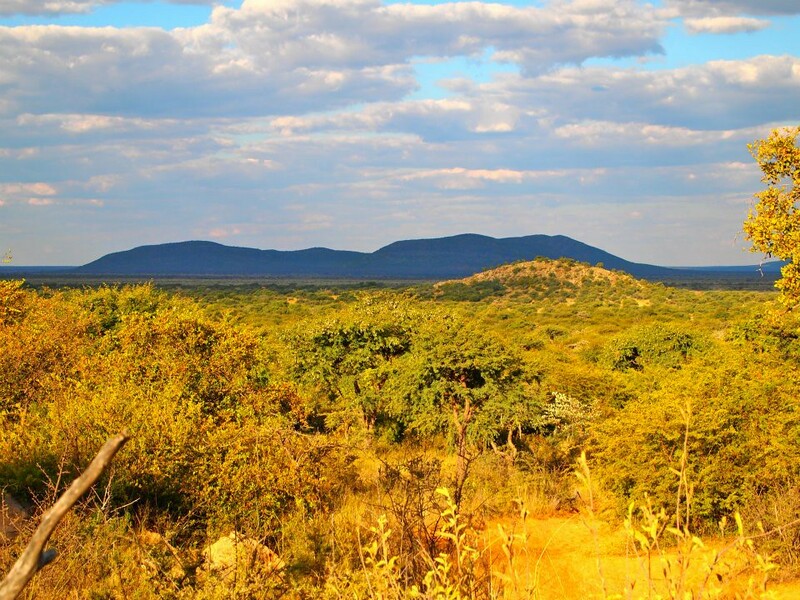 The entire hunting area is natural, with open water holes and very few man-made improvements and is still the real Africa. Additional concession areas are available when required, most bordering on their own property. 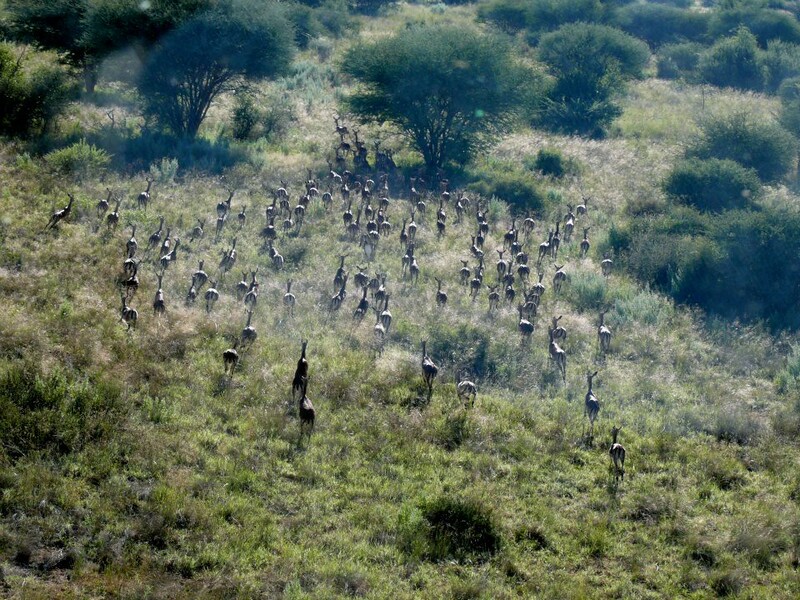 This increases the hunting area to an unlimited movement area in excess of 40,000 hectare (over 150 square miles). 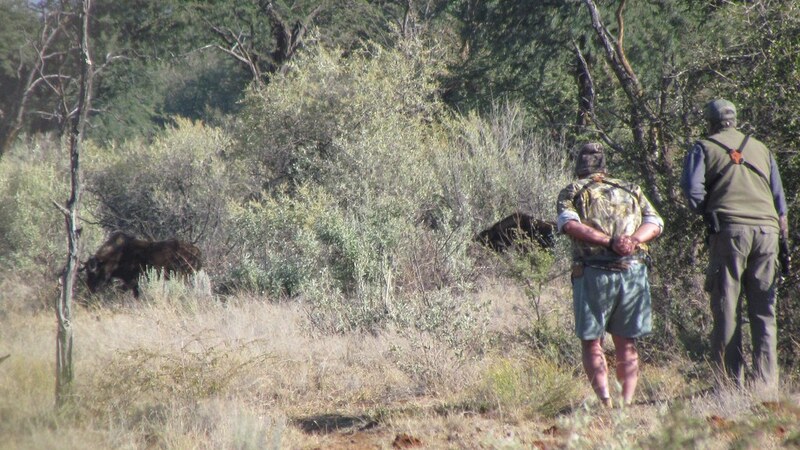 All hunts are spot and stalk in the classic safari hunting style. 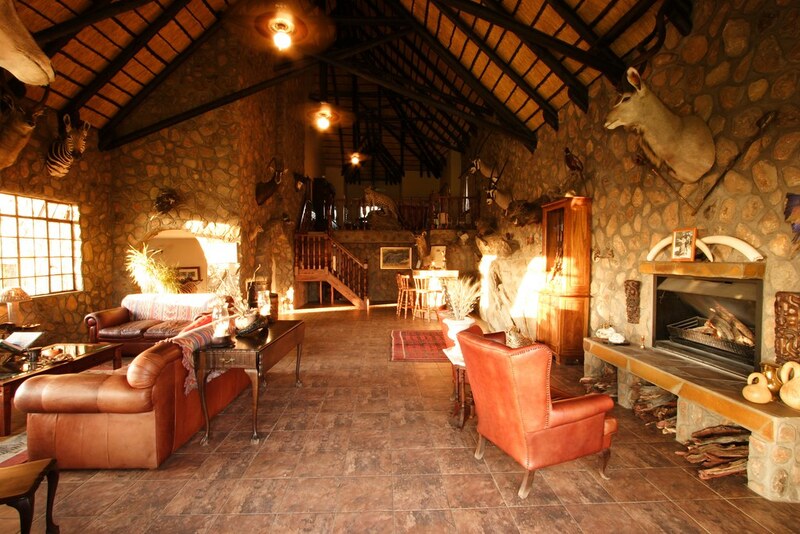 If you are looking for a classic hunting safari, this is it. Their reputation is the finest in Namibia. 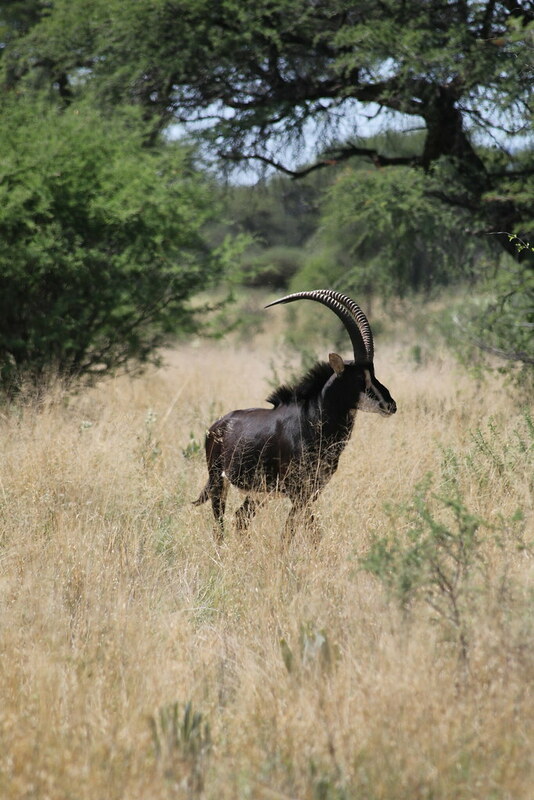 One of their qualified and experienced Namibian Professional Hunters will accompany you on your hunt at all times, and may do so with a maximum of two hunting clients per P.H. at a time. No more than 30 hunting clients are accepted per season. 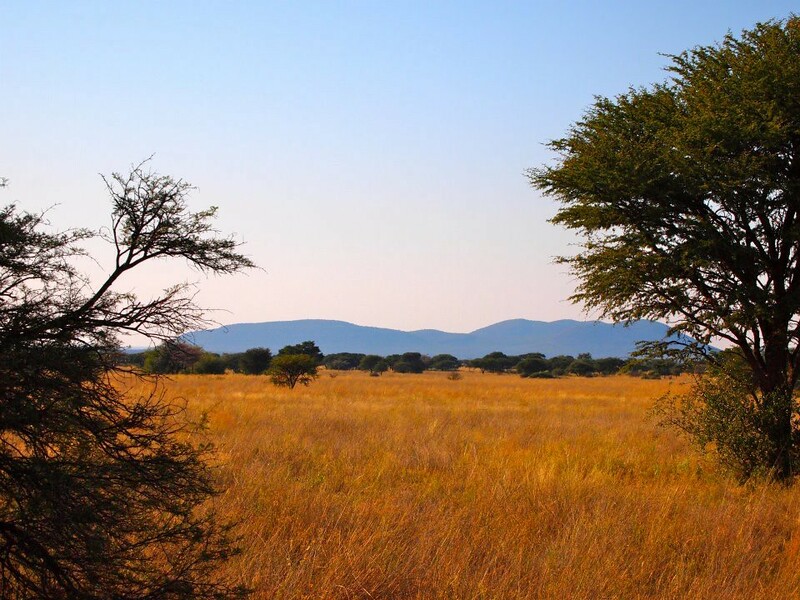 While hunting, classic, open Toyota Land Cruiser vehicles are used, but all stalking is done on foot – they focus absolutely on fair chase, ethical hunting. All vehicles are in excellent running condition and completely equipped with First Aid kits, tools, two way radios, refreshments and electric winches. The professional team of skinners does outstanding field preparation of the trophies in order to prepare them for delivery to a local freight agent or taxidermist. All the meat from the hunt is utiliised. 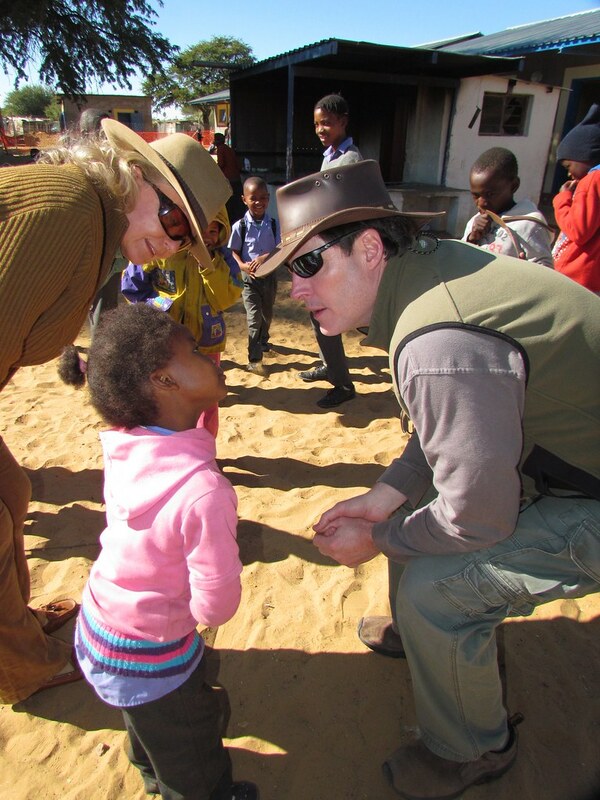 Visit the local school that is supported through this family operation and the protein provided by hunters. Your hunting meat is the sole source of protein for the school. Bow hunters are welcome. All hunts are spot and stalk only. 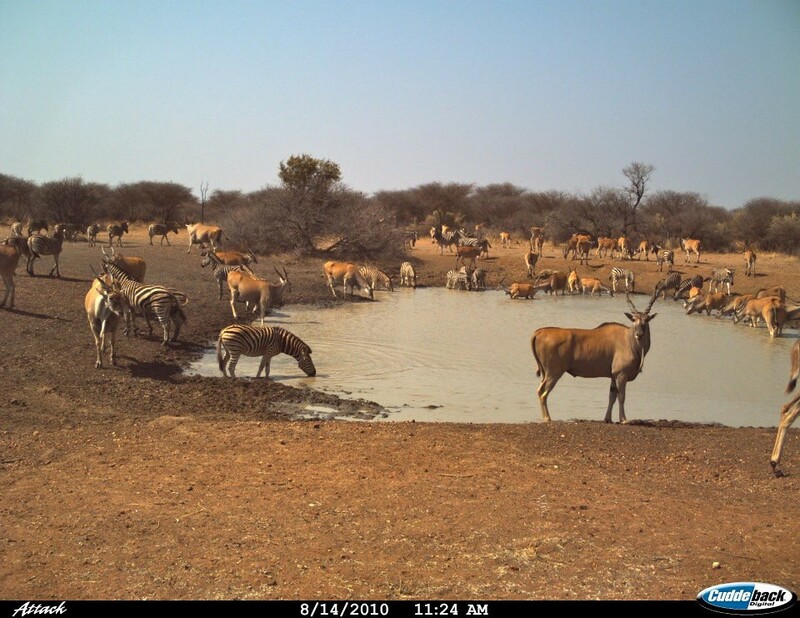 They do not allow hunting at water holes. This outfitter is the sole source of protein for extremely impoverished school nearby with about 260+ children! The protein from your hunt provides the meat for the children. The school is extremely well run and provides an excellent education for the children under the careful eye of an experienced educator and her staff. Should you wish to visit the school, the principal is happy to accommodate visitors as long as the visit does not interrupt the school day. Supplies are always in need at the school. 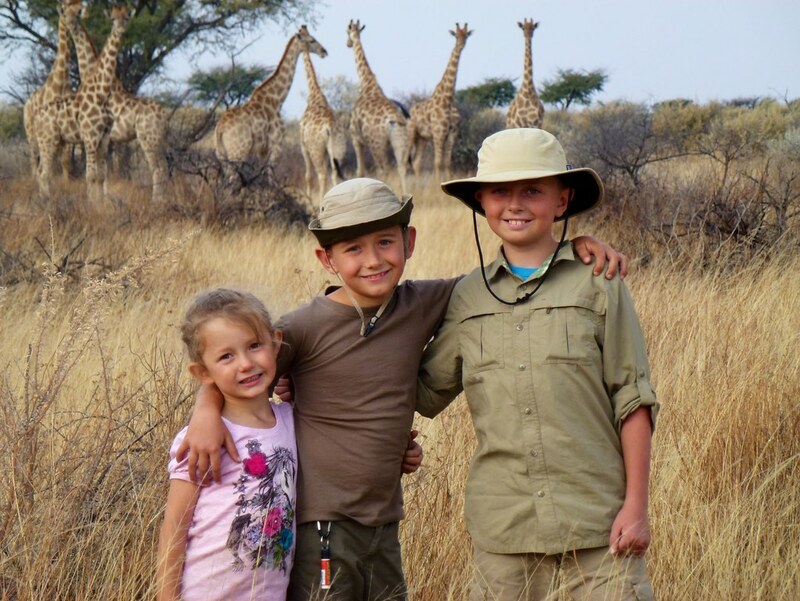 For ease and travel simplicity, the safari owner recommends that supplies be purchased in the Windhoek on arrival and then delivered by guests directly to the school. Many guests list this as a highlight of their safari. If you would like to interact with the children in an even deeper way, the school welcomes any activities that you would like to initiate. If you would like to make a difference while on your hunting vacation, this outfitter is grateful for any help that you would like to offer to the school but there is absolutely no pressure to do so. 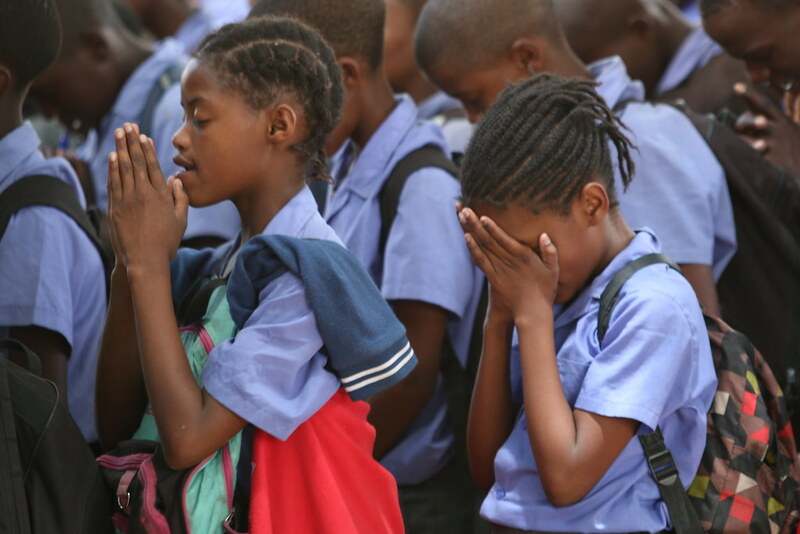 Your donation will be tax deductible through the foundation. 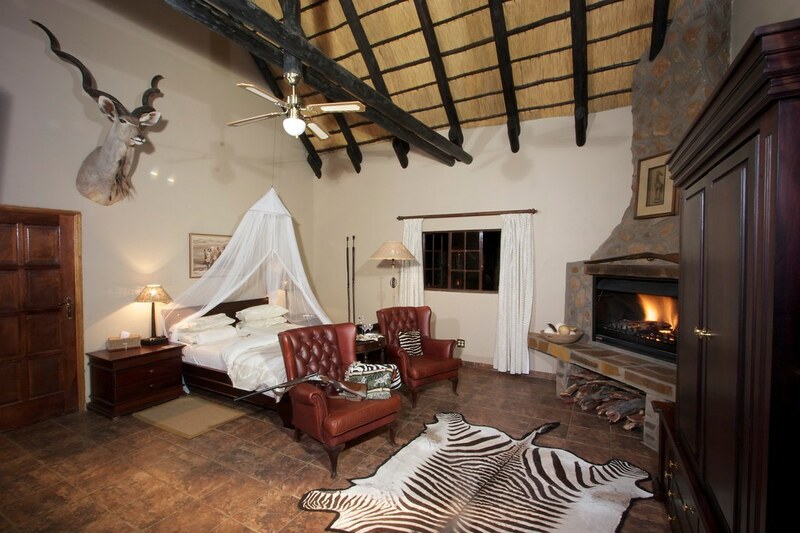 The lodge is run in the classic, elegant style of traditional safari camps. 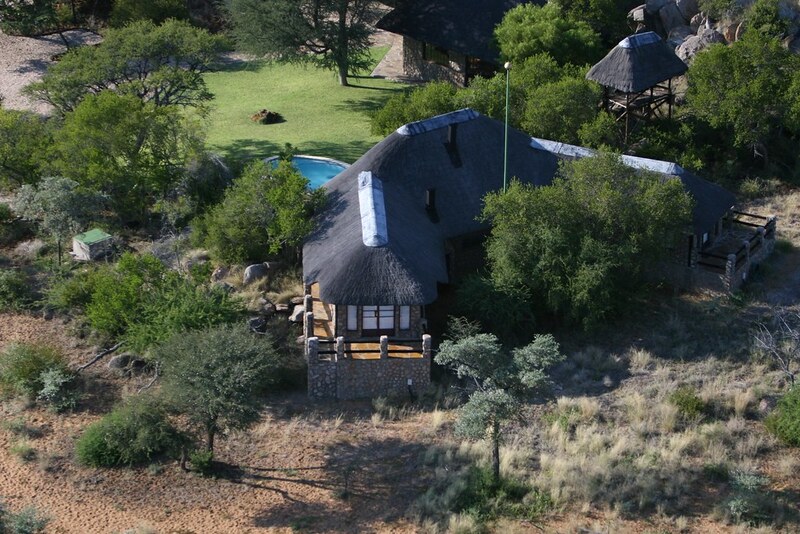 The luxurious lodge is a spacious building of natural stone with thatched roofs, designed by the owner to blend in with the surrounding rocky kopjes and vast savannahs. 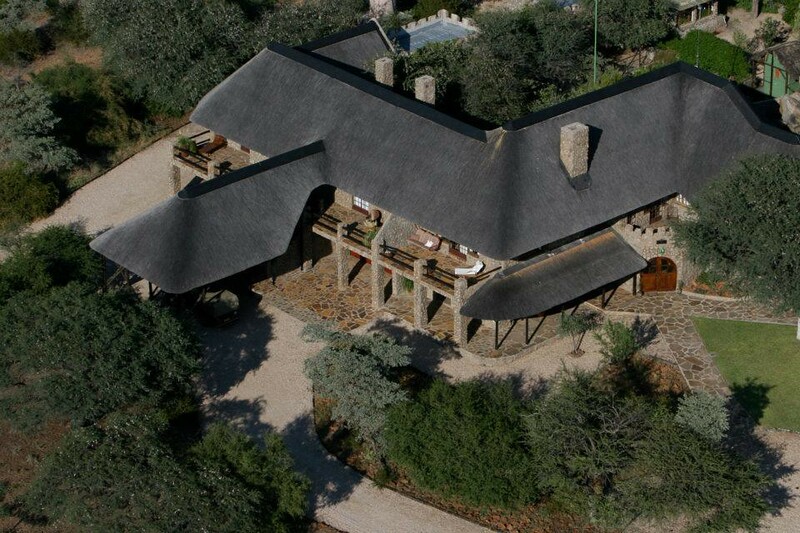 The lodge offers 5 guest suites with en-suite bathrooms with basins, flushing toilets and large showers with high pressured hot and cold running water. The extra length beds are solid wood with thick, firm mattresses, down duvets and pillows. Bedside tables, reading lamps, a luggage rack, rifle cabinet, large wardrobe, comfortable chairs, a desk, ceiling fan, balcony furniture complete the elegant, distinctly safari style rooms. Two of the loft suites at the lodge feature stone fire places, and one of the suites offers in inter-leading children’s room. 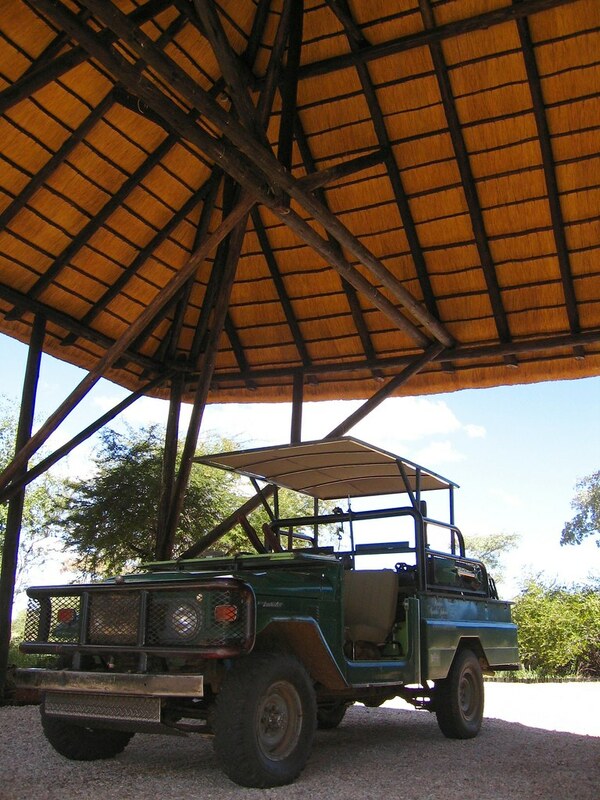 Enjoy sun decks with hammocks and deck chairs, the swimming pool and summerhouse were specially designed to make the safari more enjoyable for non-hunters and children. 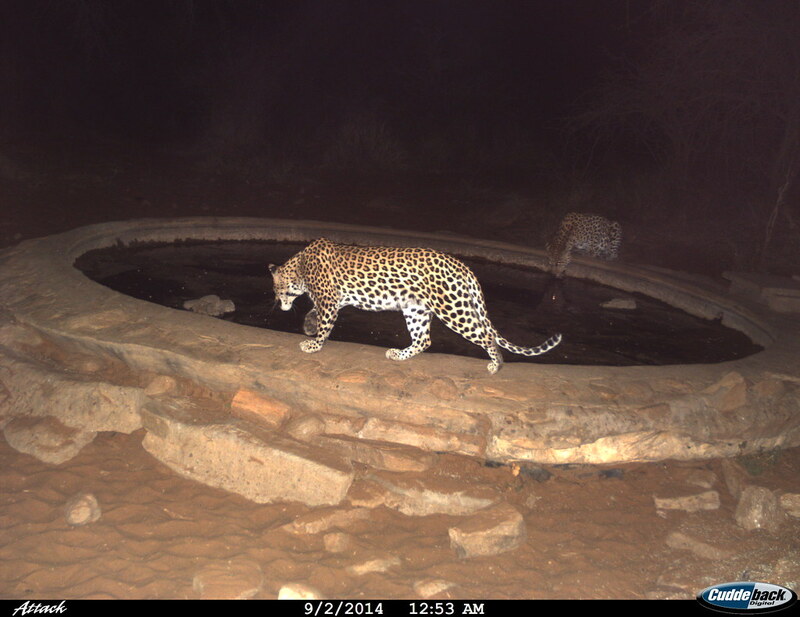 Water holes have been strategically placed near both lodges to allow game viewing and photography from your suite and sun decks. 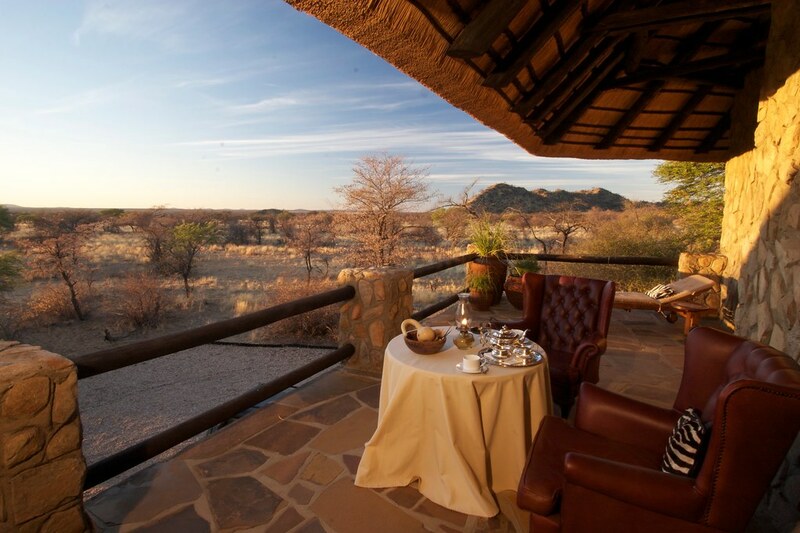 The hunting day usually starts just before sunrise with a choice of beverages served in your suite by a friendly camp attendant, followed by a hearty breakfast. They offer world-class local cuisine inspired by the owner, and expertly prepared by our Gourmet Chefs and the small, dedicated kitchen teams. Venison from the hunt is always served accompanied by a wide variety of organically grown salads, fruit, vegetables and herbs from the gardens. 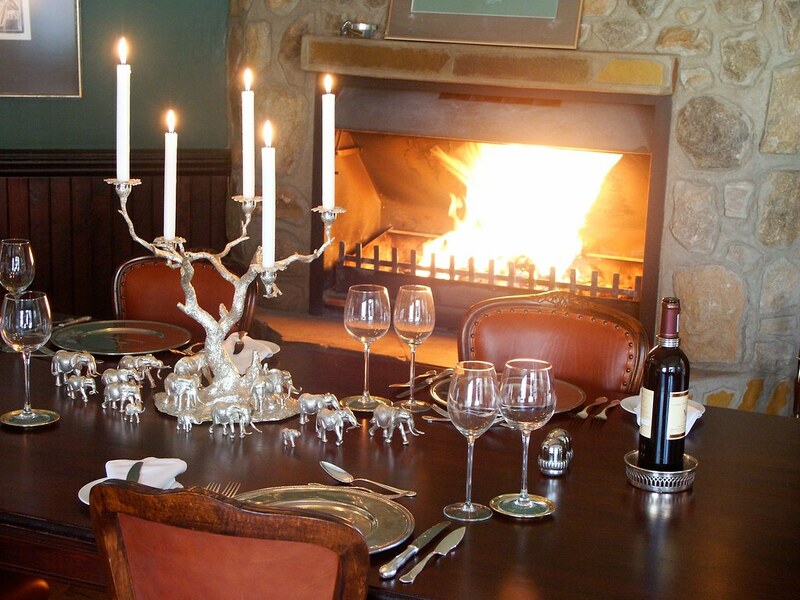 Fresh baked bread, biscuits and treats are baked daily in the old fashioned wood-burning oven. Non-venison as well as vegetarian meals are prepared, with pleasure, on request. 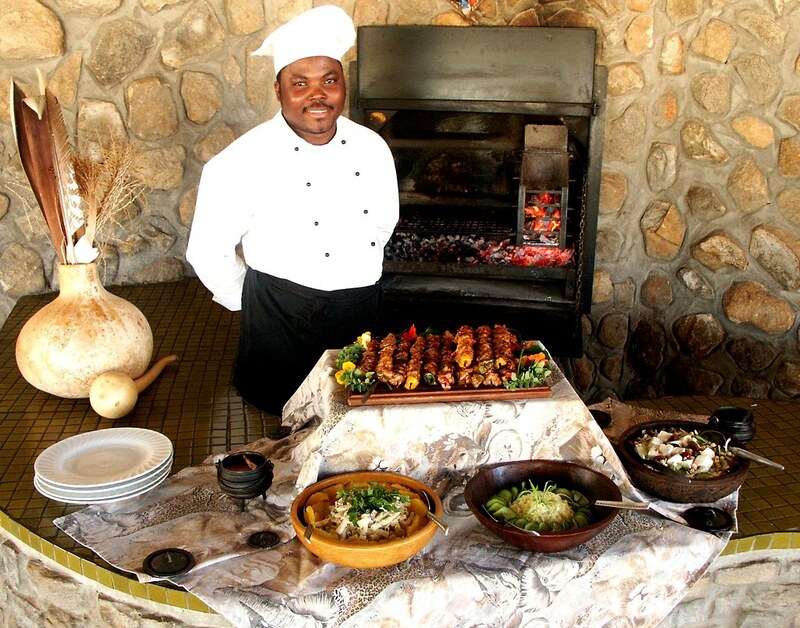 Guests return to camp during the heat of midday for a buffet-style lunch, which is served in the thatched summerhouse area at the swimming pool. A short siesta is followed by coffee at 15h00 before returning to the wild open veld. 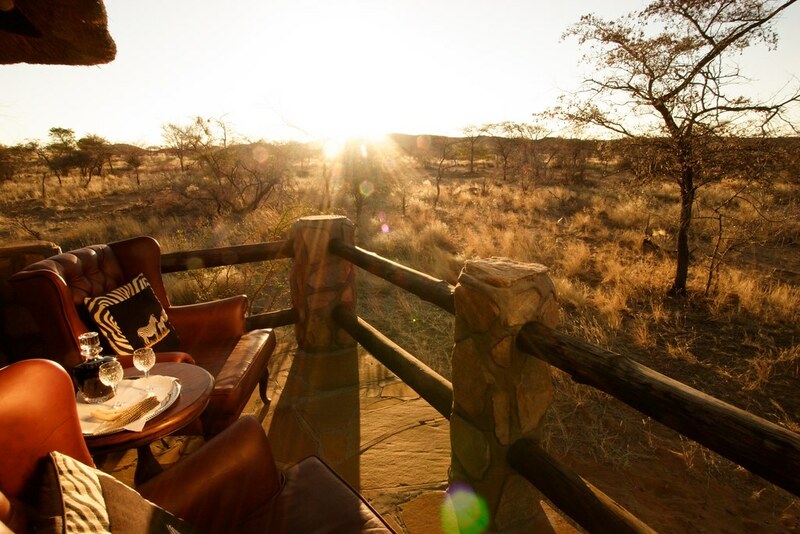 Sundowners are served in the evening around the open fire pit. 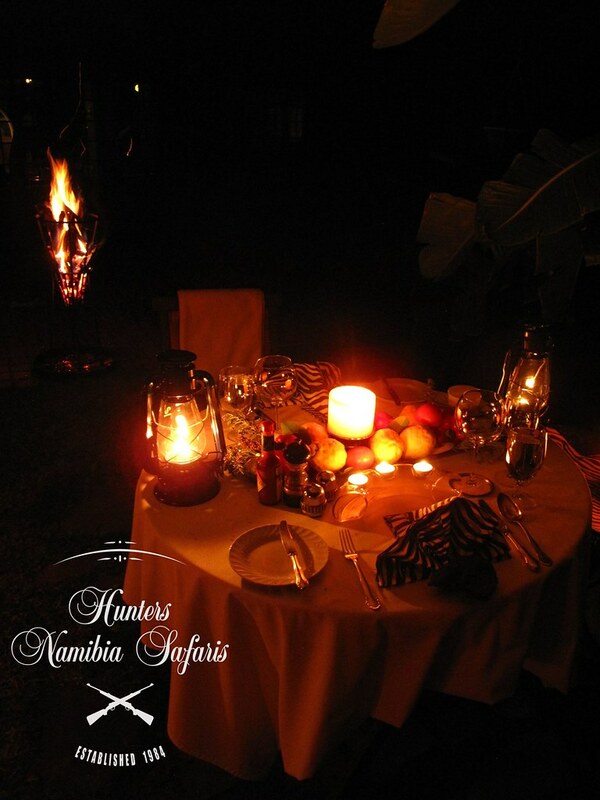 This is historically the time of day when the best memories of wilderness experiences, as well as hunting and fishing tales, are exchanged in the romantic flow of the Acacia wood flames. A traditional drumbeat announces dinner, which is always a candle-lit three-course gourmet feast. 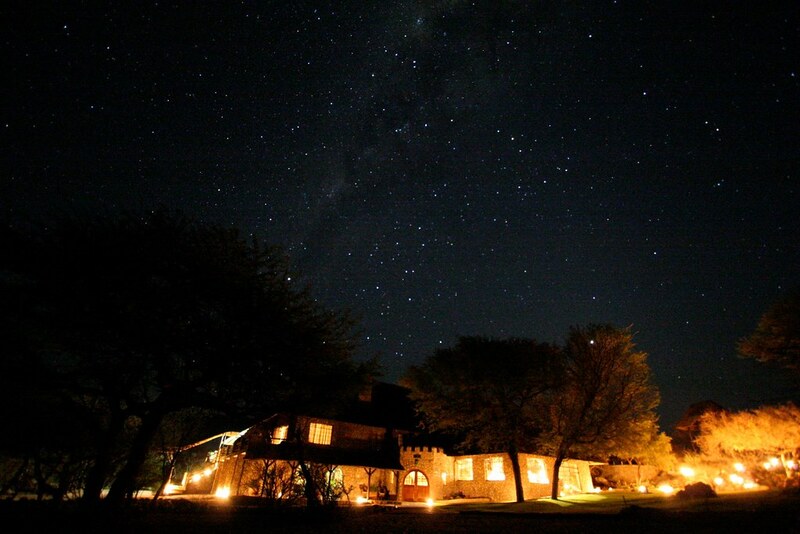 Top quality South African Wines, international brands of whiskey, gin, vodka and world-class Namibian beer as well as a variety of soft drinks and pure fruit juices are available in camp. Clients are encouraged to notify the team of any specific wishes, which will gladly be catered for. 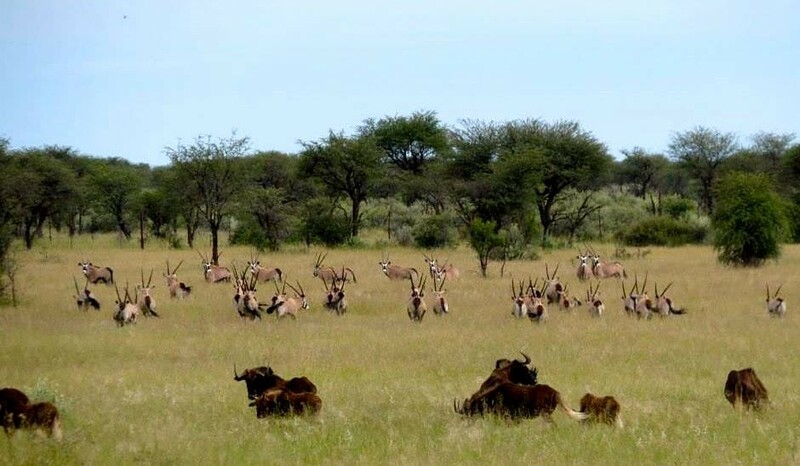 If your spouse or other companions prefer shooting with a camera, Hunters Namibia offers splendid game drives to show them the landscape, animals, birds. 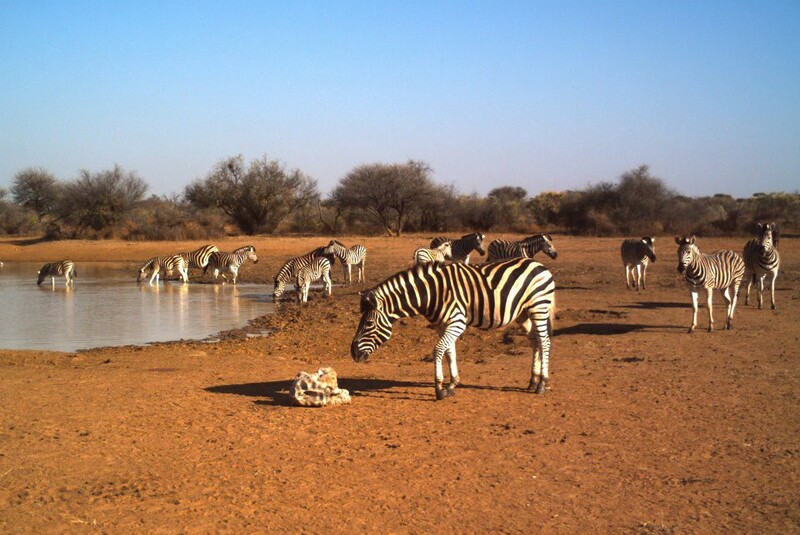 They take great pride in the fauna and flora of Namibia. 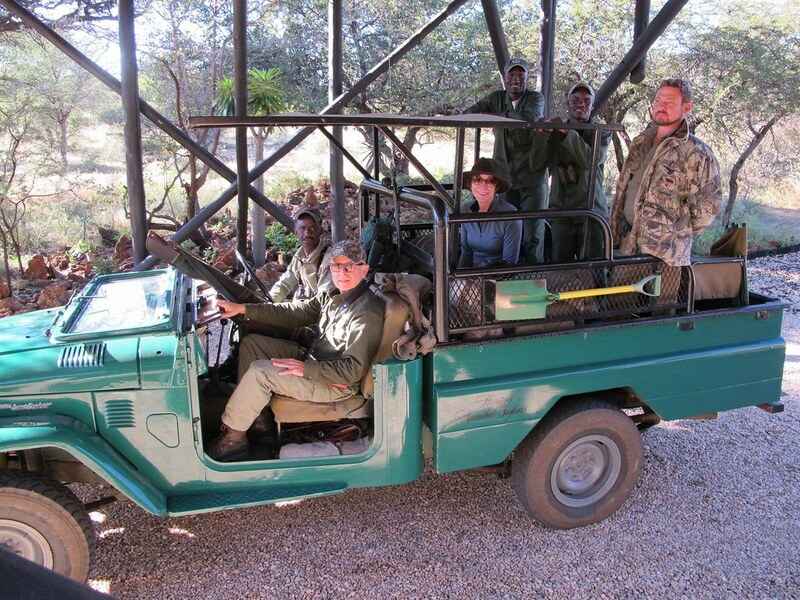 The fact that Hunters Namibia Safaris does not hunt from vehicles allows close encounters with the game. This is an experience not to be missed by you, your spouse or your children. 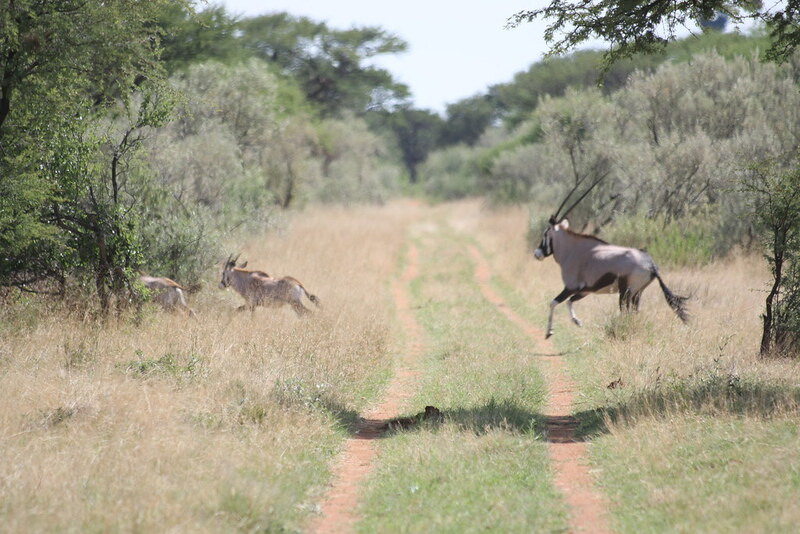 If your spouse or companion prefers shooting with a camera, they offer splendid game drives to show them Africa. Landscapes, animals, birds, they take pride in the fauna and flora. The fact that they do not hunt from vehicles allows close encounters with the game. This is an experience not to be missed by you, your spouse or your children. 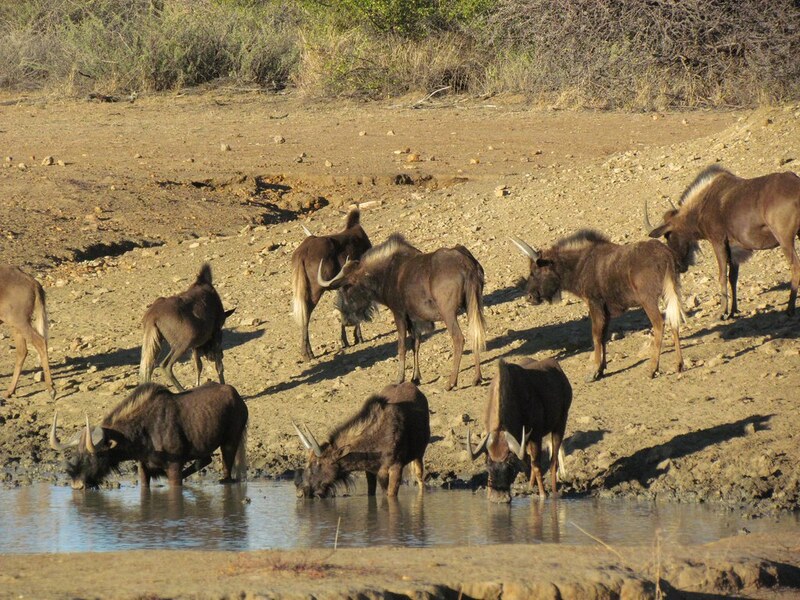 Erindi Game Park (3 hours): spend a night or two away from camp and see the lions, leopards, elephant and Rhino and enjoy the watering hole filled with hippos, crocs and other animals. Shiloh Wildlife Sanctuary (1 ½ hours): tour this world renowned sanctuary supported by Angelina Jolie. 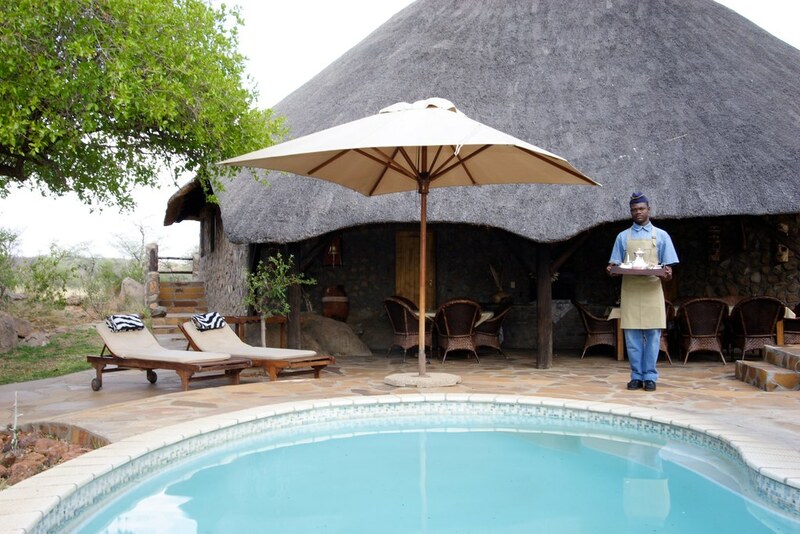 Enjoy a spa day in Windhoek or bring in a masseuse on the property. 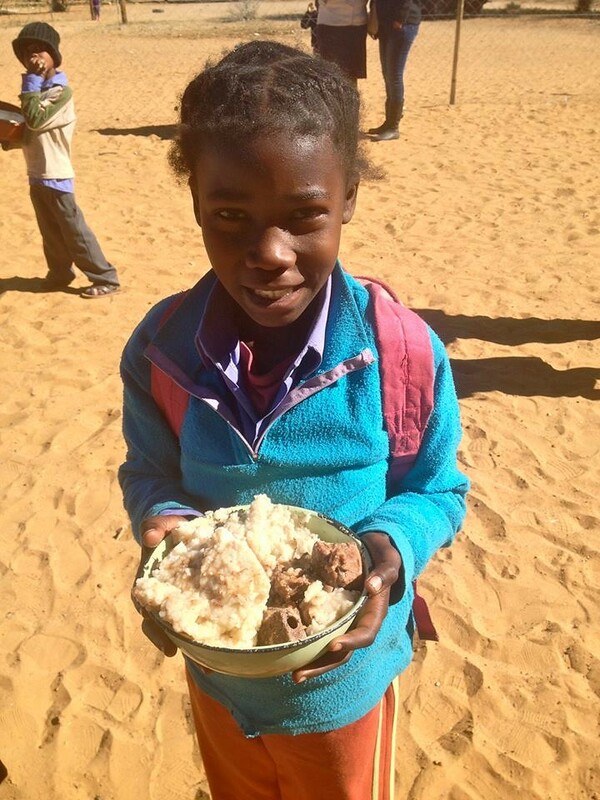 Visit the local school that is supported solely through this family operation and the protein provided by hunters. If you like, purchase books and other supplies in town and take them to the school. Your hunting meat is the sole source of protein for the school. Tour the Lamprecht shotgun shell factory just across the road. This is the only shell factory in the southern portion of Africa. Fiocchi ammunition is also manufactured here. 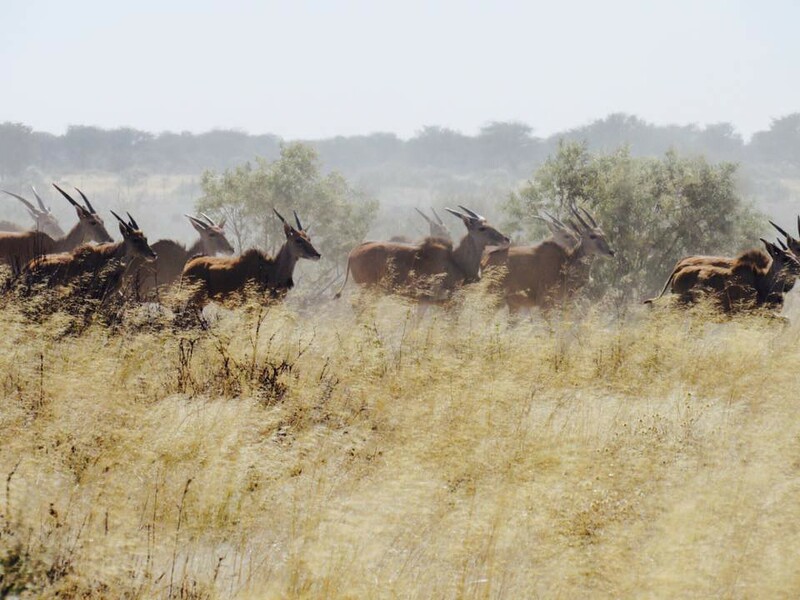 Swakopmund (4 hours): non-hunters/ observers might enjoy touring for a couple of days during the hunt to enjoy overnight stays in this historical sea-side village as well as the Namib Desert, desert creature tours, horseback riding, dune surfing, dolphin cruises and more. Since you will have the lodge to yourselves at HNS, the schedule and the staff are at your disposal to make a trip to the coast at the last minute. We can plan this ahead of trip time or make plans on the property! 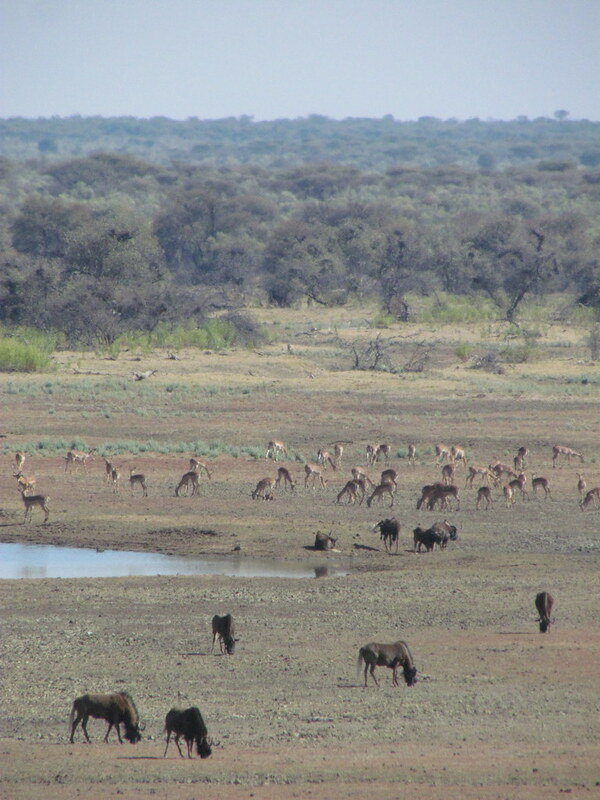 Numerous other destinations around Nambia via light aircraft. These excursions can be undertaken in comfortable air-conditioned vehicles or by chartered flights as requested. Videographer services are available for this trip for an additional fee. Please let us know if you are interested in this service. What are the best times to visit this lodge? 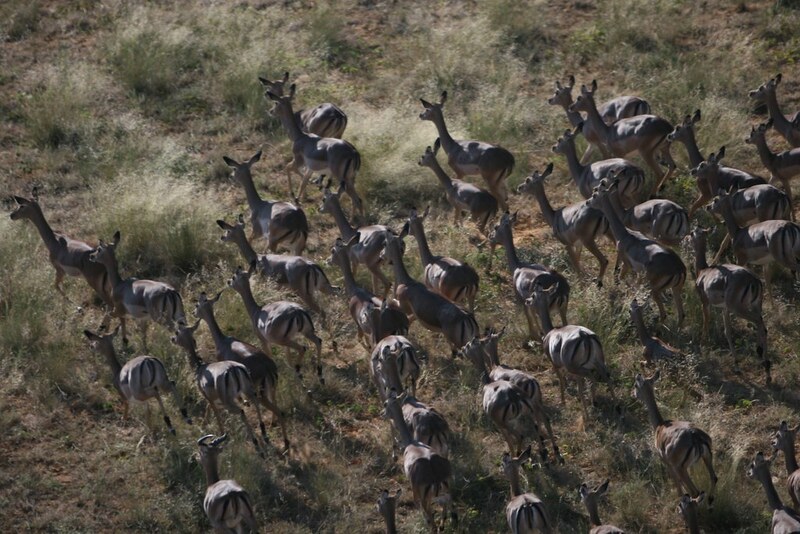 The prime season in Namibia for hunting is April through October. The coolest months are June through August. September traditionally is a windier month but the temperatures are delightful. 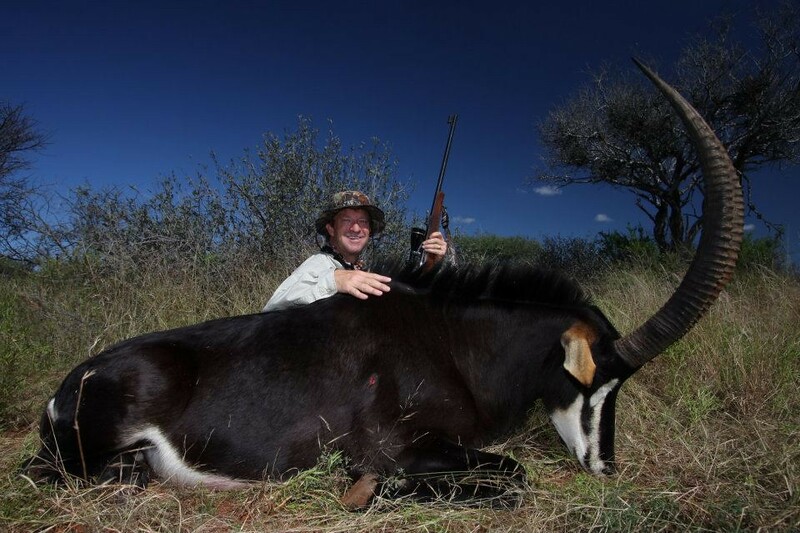 As with all Antlers & Anglers safaris, should you fly through Johannesburg, you will be met as you deplane in Johannesburg and escorted to your connecting flight or hotel for the overnight stay. 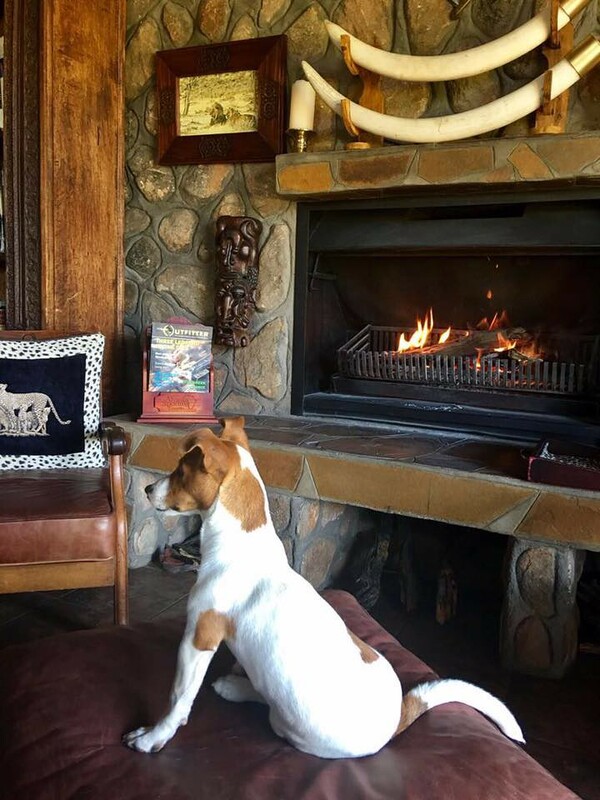 Once you arrive in Windhoek, Namibia you will be greeted personally by a member of the safari lodge. Who are references for this outfitter? Besides, Kevin and Corinna Slaughter, this outfitters reference list reads like a who’s who of the hunting industry. Call for references and we will provide you with an impressive list. Among those who have visited recently, the Potterfield family, owners of Midway USA. While we do everything in our power to protect our clients from travel problems, we cannot prevent illness, natural disasters, wars, deaths, lodge closings and more; we live in uncertain times! The only way to protect yourself and your investment is through travel insurance. Travel insurance can provide medical coverage, cancellation due to natural disaster, illness, death in the family, lodge closings and other unknowns; in this day and time, anything is possible. Lodges count on you to protect your investment as they cannot refund your payments due to the nature of the product they offer. Finally, travel insurance is time-sensitive and must be purchased within a certain number of days of your deposit to cover preexisting conditions, lodge closings and other various issues. It is still available later but the benefits may be more limited. Both companies offer evacuation insurance in addition to their travel insurance but Ripcord has more thorough coverage in this area. “80 square miles of unfenced wilderness, hundreds of animals and only one hunting party, it doesn’t get any better. Oh my !!! Words can’t describe this place or the incredible hospitality. 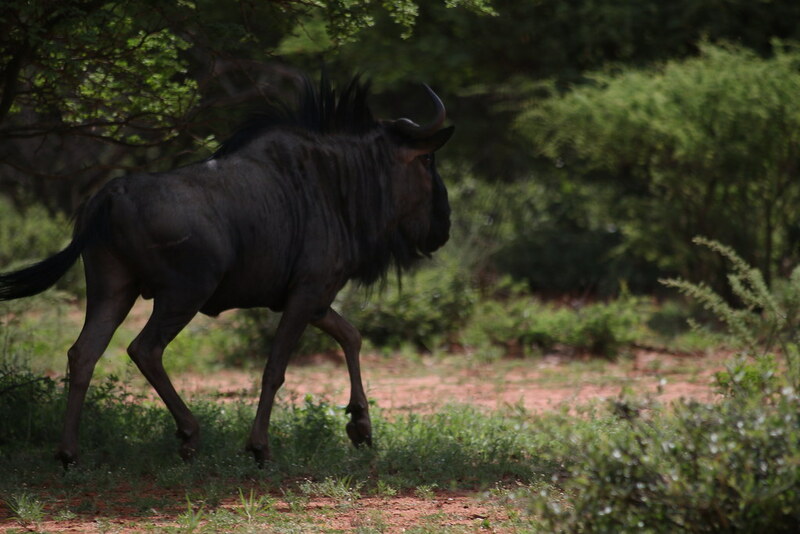 Boys have taken Black and blue wildebeest, warthog. 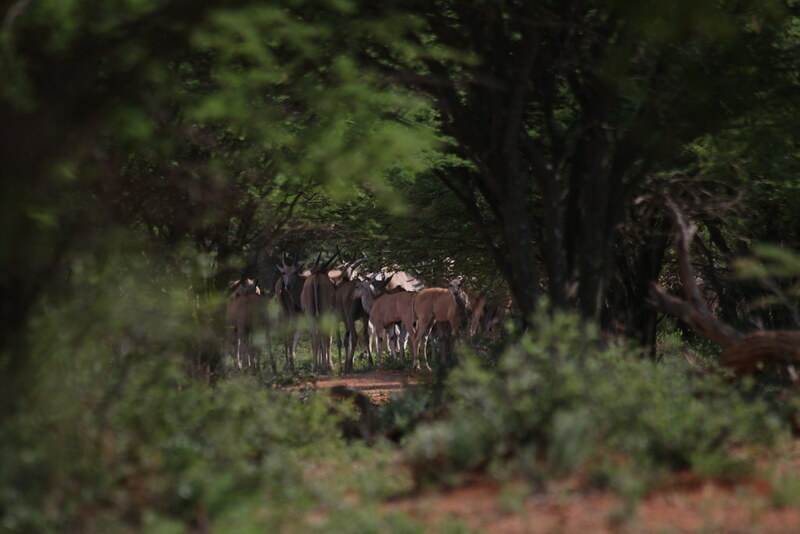 Hoping for kudu and zebra before hunts end. Loving every moment. Thank you !!! 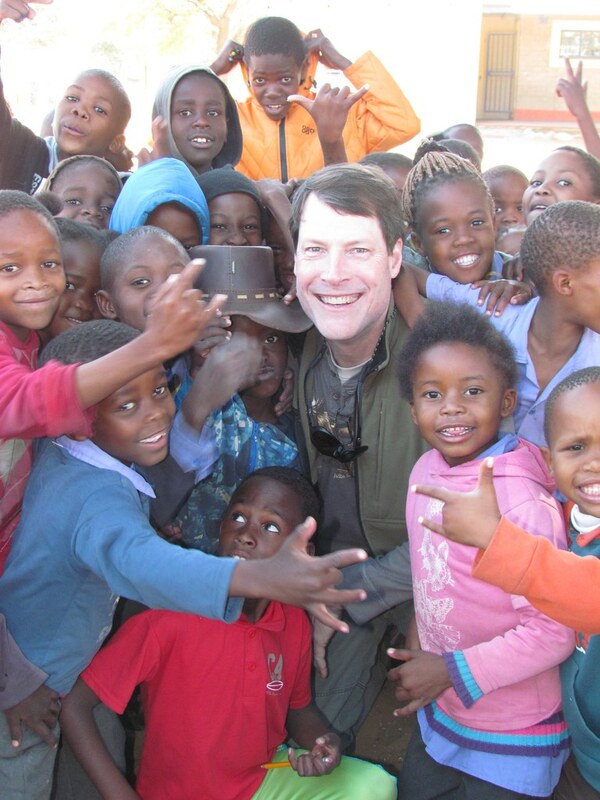 We can’t believe we’re leaving Namibia already… Your operation is truly a “class act”… and “quite nice” (…as was thoroughly discussed!!!). So many stories and laughs around the sundowners won’t be forgotten, as well as the 10-Star accommodations and gourmet food. 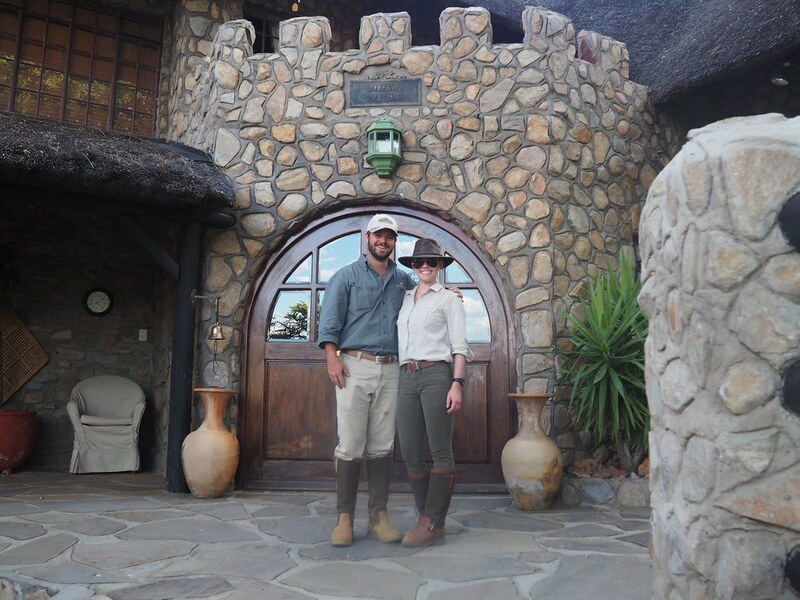 The hunting, the trophies, Johnnie and Martin, everything we learned out in the bush was just amazing. We can’t begin to tell our friends and family everything we saw, but that’s a good thing actually. One must experience the hunt. Words don’t do it justice. 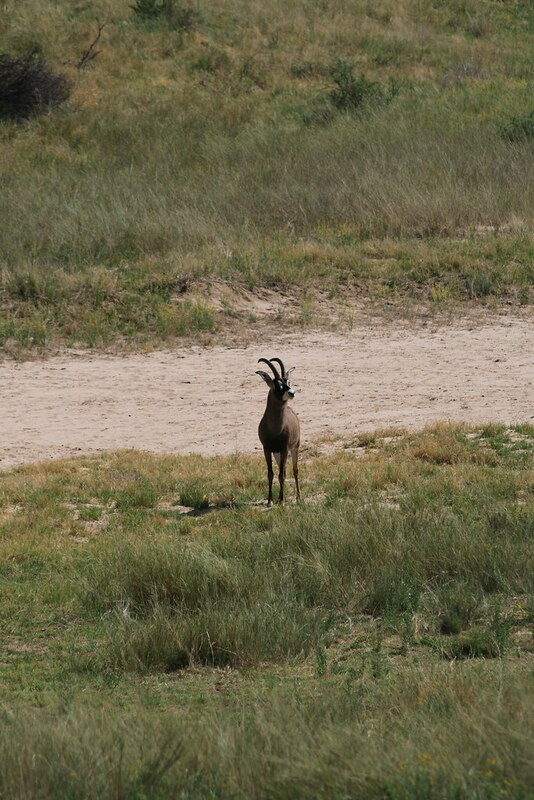 And the unexpected trip to Swakopmund was the best way we could ever have imagined ending our safari. What a lovely seaside respite. Thank you so much for sharing it with us. 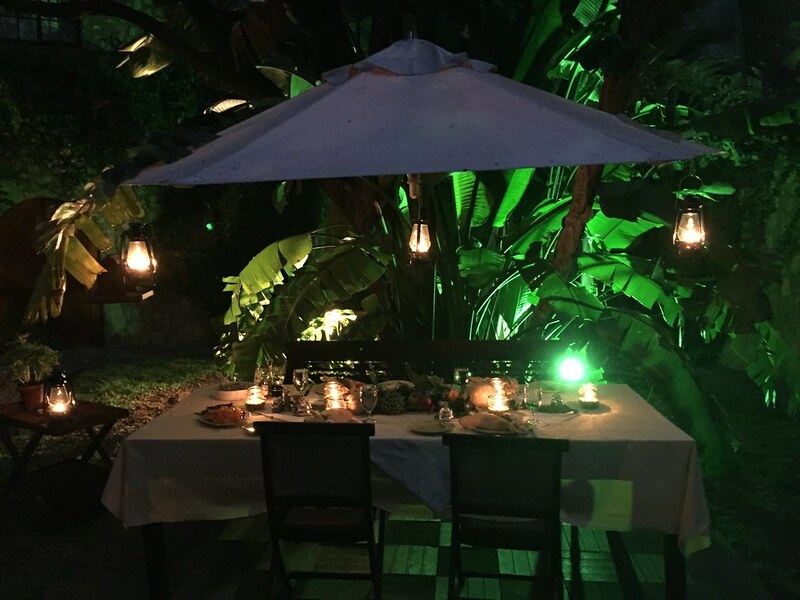 It wasn’t only quite nice – it was fabulous…. 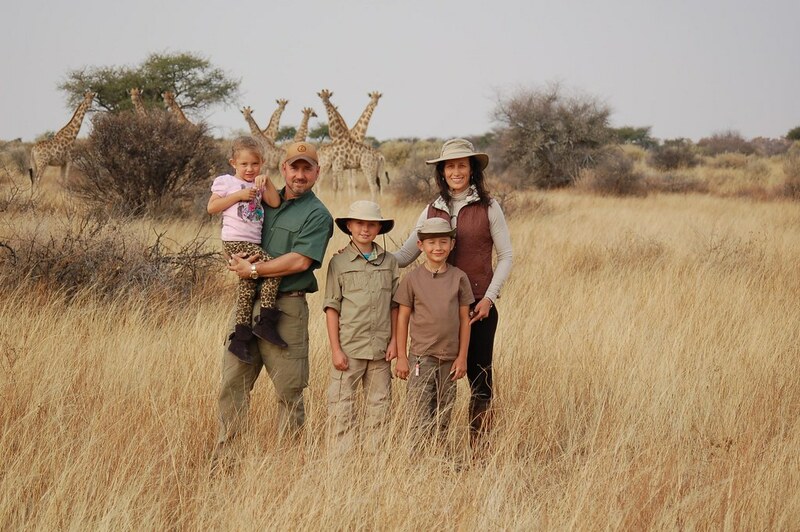 What a fantastic experience your family has created for people to enjoy in Africa. Everything was perfect from the accommodation, food, and real-world bush environment. 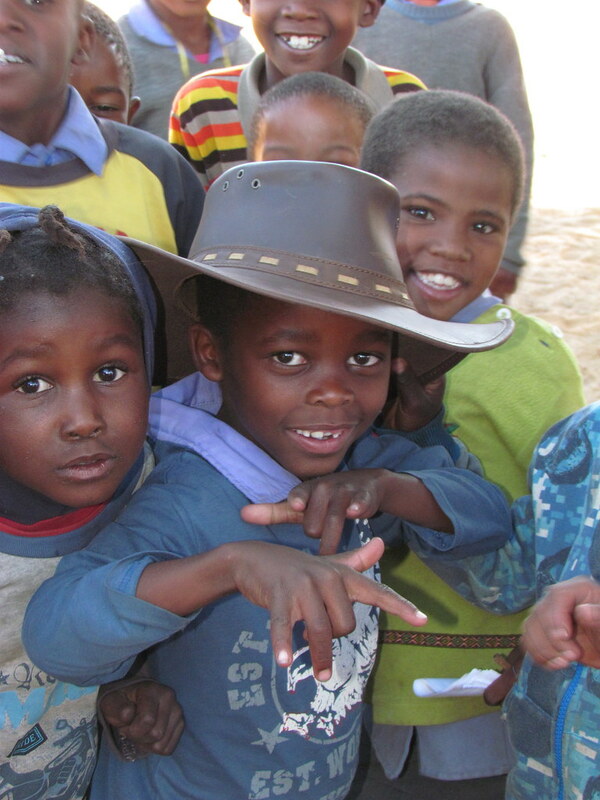 Your lodge is 5-star and can’t wait to bring Suzy and the rest of my family back to Namibia. This experience far exceeded our expectations!!! 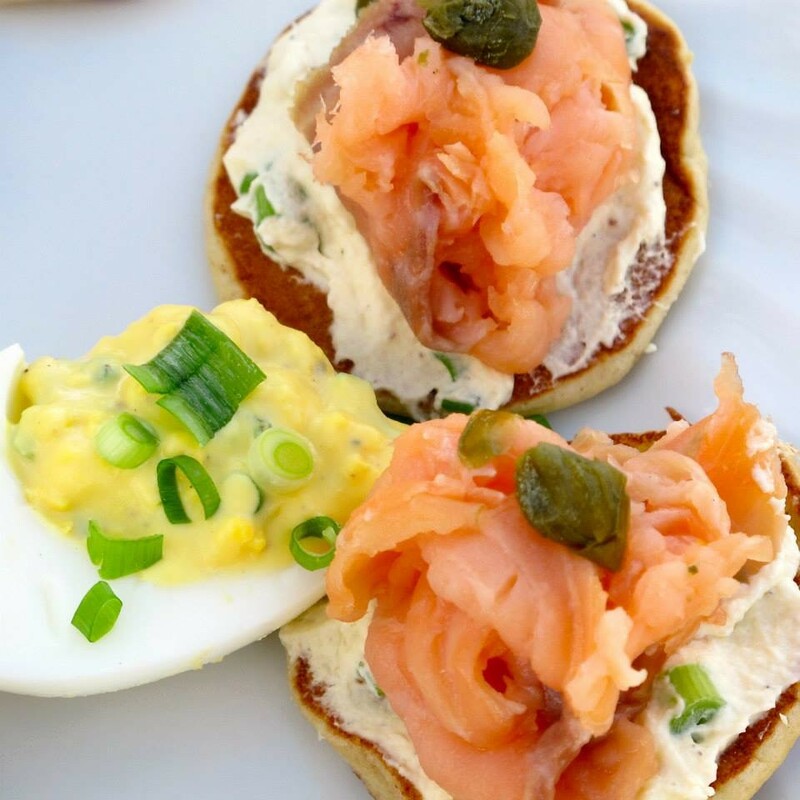 From wake-up coffee to a gourmet dinner, each day was filled with a new adventure! The lovely shopping in Windhoek, experiencing markets and friendly people, was wonderful! As much fun as it was, I couldn’t wait to get back to the Lodge and the paradise your family has created! Your staff is unbelievable! They always greeted with beautiful smiles and eager to please. We cannot describe how outstanding everything was…..
Where to begin..? The minute we arrived the Spanish expression “su casa es mi casa!” Throughout our time here I truly have felt that I got to enjoy your dream. The accommodations are outstanding, your staff truly glows. I feel the shining loyalty they have for you in the outstanding service they provide to us demonstrates that they are part of your family. The continued surprise photos by the bed, framed pictures always so much detail, food, laundry, flowers, picnics, etc. What a paradise you have created your passion for each other, family, and dreams truly show. Richard and I leave but will return in the near future. What I can say? I feel like I have discovered and made friends for lifetime. The sunrise and sunset here are breathtaking. You truly have created heaven on earth. Thank you so much for sharing it with us. The information, the conversation, the stories and the laughs shared with us will always mean the world to us. We have never eaten such wonderful and delicious food… We will definitely have to pay for that when we get home, but it has been well worth it! We cannot begin to thank Johnnie and Martin (The A-Team) for everything. The hunting has been so much more than we could have ever imagined. Those two guys are amazing and true professionals. And while they are professionals, they are at the same time, so personable and patient. I (Terri) am forever grateful to Johnnie for always inviting me to go on the stalks with them. I know he probably would have preferred me to stay in the truck and I totally wouldn’t have blamed him! I can’t say thank you enough for him allowing me to experience the hunt first hand with Brent. I will never forget it! “Buy a Donkey” Johnnie and Martin!!! 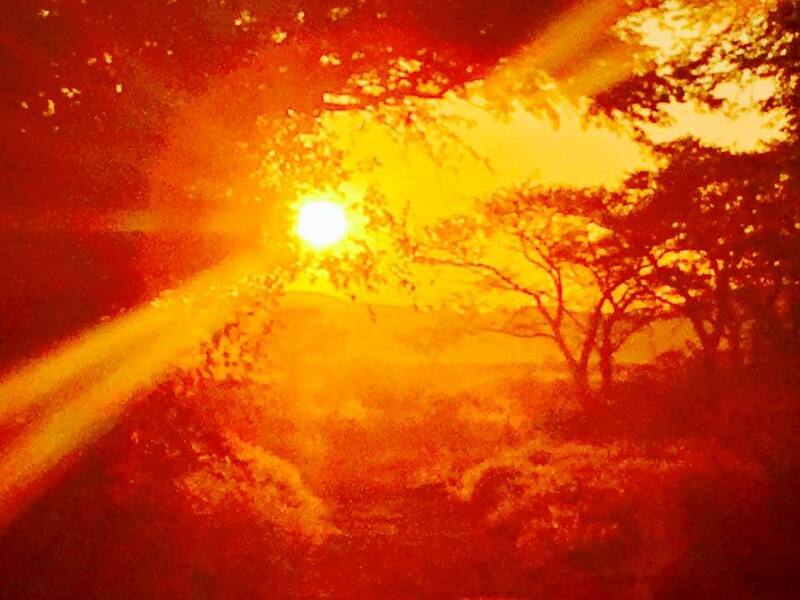 The American who reads sees the African safari through the eyes of Robert Roark and Ernest Hemingway. They dream of a certain culture journey into the wild full of beasts from fairy tales and stories from far-away campfires. They dream of martinis after days spent among beasts too big and dangerous for civilized reality. They want the Dark Continent to explode in their consciences and to live on in their minds. It is an almost impossible to realize conception. 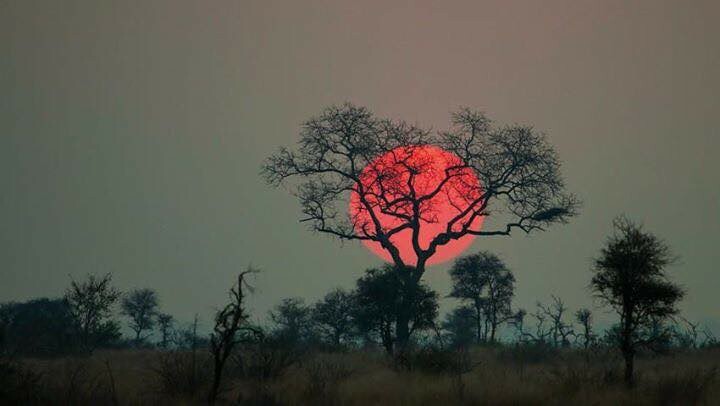 So to find it here, living created by your hearts and minds and love for Africa has been too wonderful to express. Thank you so much for making me feel a part of your family. Your world is endearing, comfortable, and intoxicating. I would say your “place”, but “world” is more accurate for you have created here a galaxy of hospitality, comfort, love, and affection for the essence of Africa. To say nothing of the amenities here – the wild world that you sustain is remarkable in its abundance and variety. I have hunted around the (other) world, but I can tell you – that your habitat and the animals that occupy it are exceptional. Thank you for sharing it – and them – with me. Your world is truly Transportive – I feel as though I’ve been dropped into another time – where authenticity and warmth are the elements that compose it. Thanks to Johnny for his sharp eyes, his quick smile, and his exceptional ability to read both people and animals – and bring both together in the same place and time. I look forward to a long and warm friendship and look forward to introducing my family to yours. I am so glad I finally got to come and see your beautiful home and part of the country! It is truly magnificent. Getting to know you two better is wonderful and I appreciate your most generous hospitality. 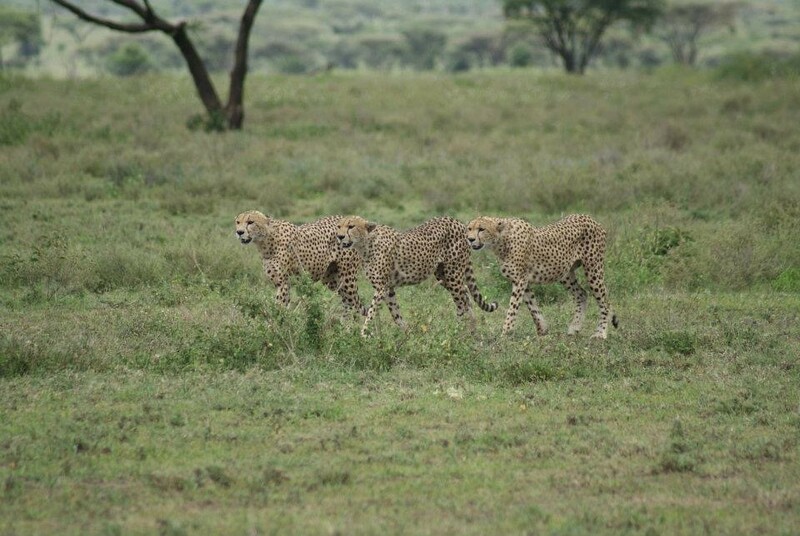 Your wildlife is unbelievable; at times it looked like what I have seen of the Serengeti! I have been to many places, and yours is right up there at the top of the list from both quality of game, professionalism of the staff, and beautiful landscape and hospitality! I am really glad to get to know you two better and you are both making such a positive impact to your community, your country, and NAPHA. I look forward to seeing you in Dallas every year to come! 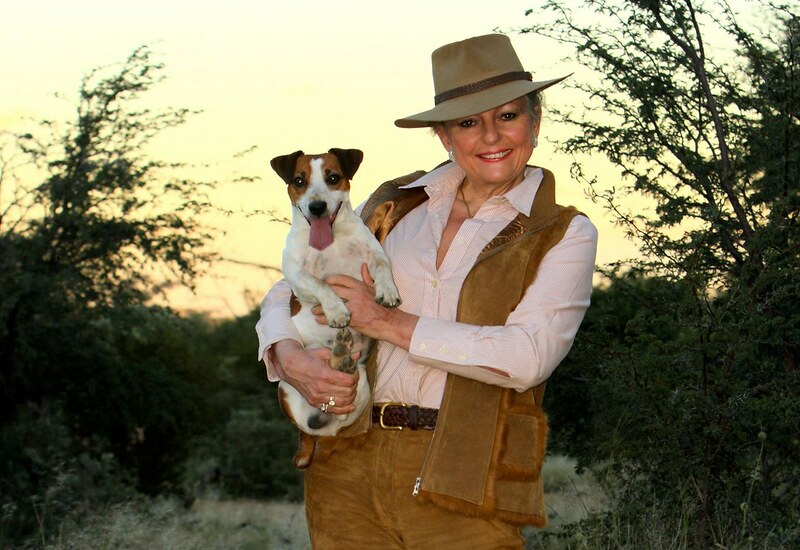 Thank you so much for your gracious hospitality on my first hunting adventure in Africa! Besides the great herds that roam your land, and the incredible hunting with professionals, we laughed and ate and drank our way to a stock of memories that may never be equaled. I look forward to keeping in touch! Thank you so much for the wonderful week we had here, it could not have been better! I love everything about this place. The rooms, food, animals, your family and the staff! Your staff is so sweet and kind! I loved everything we did – the fire was so much fun every night. My mom wants to start a new tradition. It was so much fun to hear all of your stories and I’m so glad we had the opportunity to hear them all. Thank you for answering all of our dumb questions 4 or 5 times. Thank you for the time of my life! I’m so grateful for the opportunity I got to come and visit! This place is a dream. I love everything about it. The rooms, the laundry being done, the meals, the fire, and most of all your staff! Everything and everybody is so nice. I felt like a queen all week. You guys are the sweetest people I know. I enjoyed every story you told and enjoyed your personality…. I love how you run the place. And of course Hanns-Louis, you’re the best! You’re so fun and I learned you have many talents! It’s amazing; you’re a cook, a carpenter, and the most knowledgeable person. I love to ask you questions! I loved the hunting! My guy friends at home always challenge me to what animals I have hunted; I now have them all beat. Love you guys and your staff. Thanks for the wonderful hospitality and sharing your Namibia with us again. As I felt on our first afternoon on the way to the shooting range. Four years is too long. Your accommodations remain first class as is the hunting… Your staff does such a good job of making all of us feel comfortable. In short, I cannot express how welcome you made me – the single lady in a herd of boys – feel. I didn’t arrive with the notion that I had the capability to hunt, however, because of the kindness of you and your staff, I was afforded the opportunity, and, rest assured; I will NEVER forget that first warthog boar with Johnny by the windmill. You have created a true paradise, and I will forever be grateful for being opportuned to spend a slice of my life here. I do hope to return; however, until then, farewell, and happy, happy hunting. We had a wonderful time; Jordan loves Africa, and it was every bit as outstanding as we remembered. The food was superb, the hunting excellent, and loved Johnny. What an amazing adventure. The best of the best. Yours is truly a class act. 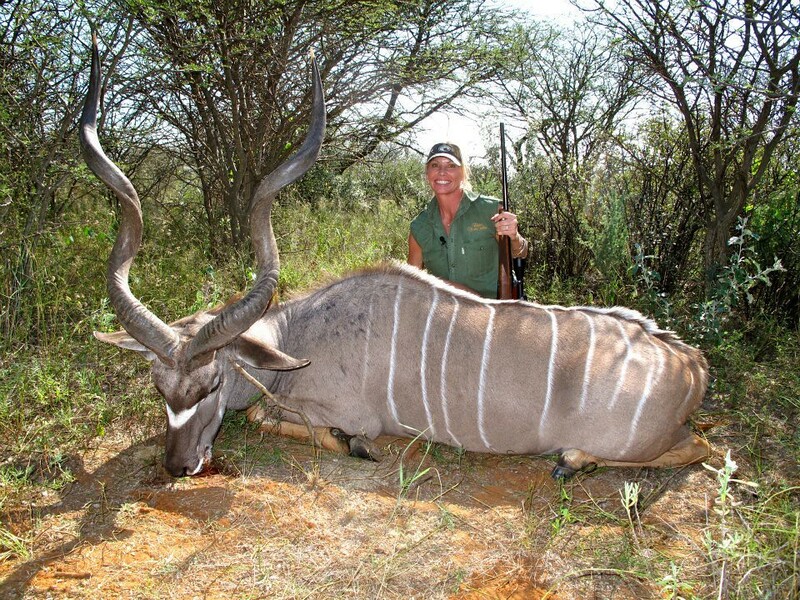 This is hunting in the ‘real Africa’. I cannot thank all of you enough for making this a fabulous holiday for Julie and I. Hanns-Louis your new business will be a success. It was wonderful spending time with you. Johnny and martin are the best. Your entire staff is the top of the line, and we extend our thanks to all of them. 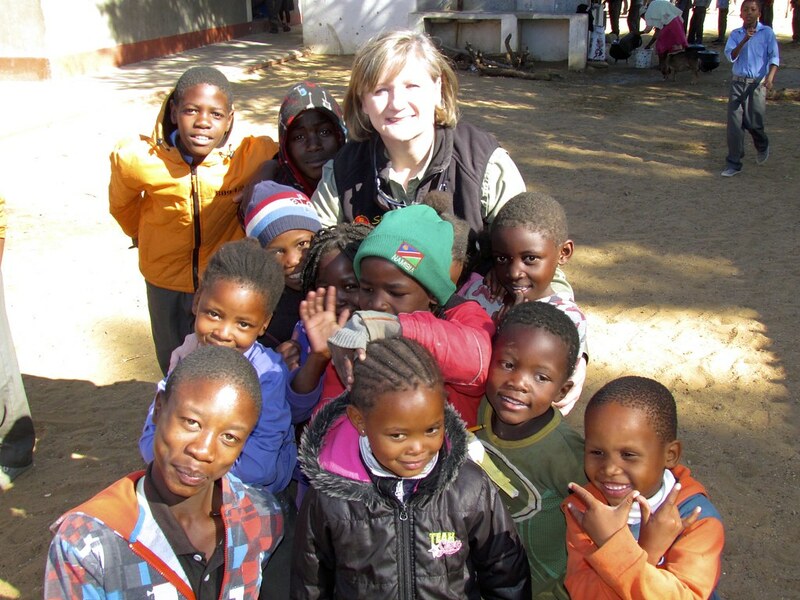 This was Julie’s first time to Africa. She could not be more pleased with this holiday and now is too an ‘African hound’. We had the most wonderful time! We loved everything about our visit. I cannot tell you how much I appreciate your making all of my family feel welcome, and how much you catered to our every need. We loved learning about your wonderful country as well as your philosophies of wildlife management. It was a joy to have you share both with us. You make us feel as though we were a part of your family, and we feel that we are becoming your friends. As a detail type person, I can say that you were attentive to every detail, and it made our visit so pleasant. Every member of your staff was top notch! Thank you for a terrific visit. You are welcome in Alabama any time. Thank you for accommodating my family and me. I have had the time of my life hunting here with “y’all”. We are known in the southern US for our hospitality, and that is exactly what you all here expressed to us. Thank you for making us feel like family. The memories I have acquired here will never be forgotten. Out of 5 stars, I give you 10! Wow! This has been an amazing experience! I loved learning about your culture and living in the midst of your hospitality. 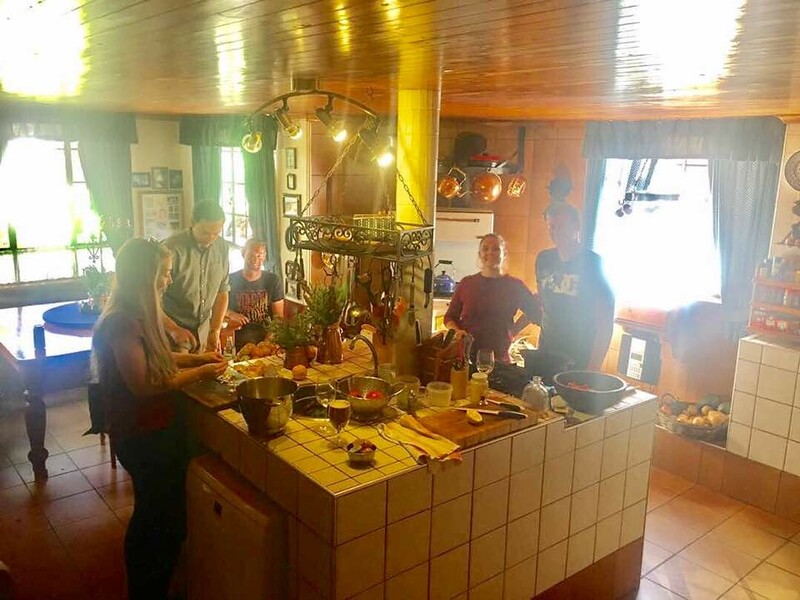 From sand boarding to hunting to Hennok’s cooking and yum-yum, everything has been incredible. So many memories were made here. Your family, the PH’s, the t5rackers – all of the staff – and the dogs as well are amazing. Thank you so much for having my family! Thank you! 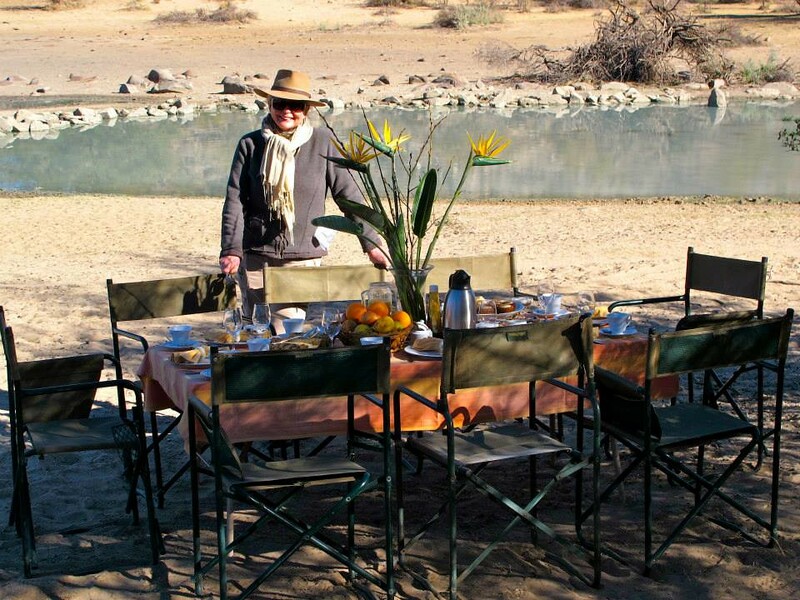 You have spread a beautiful table of Namibian hospitality over us and to us. We so appreciate your labours of love on our behalf. Everything was excellent! Our family has new traditions thanks to our stay with you. We have fallen in love with your country and your family! Words fail – what you all have given us is PRICELESS! Thank you for having me and my family. It is so beautiful and peaceful out here. I enjoyed taking photographs of the many animals. The trip to Swakopmund and Namib desert was very enjoyable. I loved staying at the beach house. Thank you for accommodating my vegetarian needs. The last meal being all vegetarian was kind of you and delicious as was the rest of the food during our stay. So many groovy memories where made. Far out! 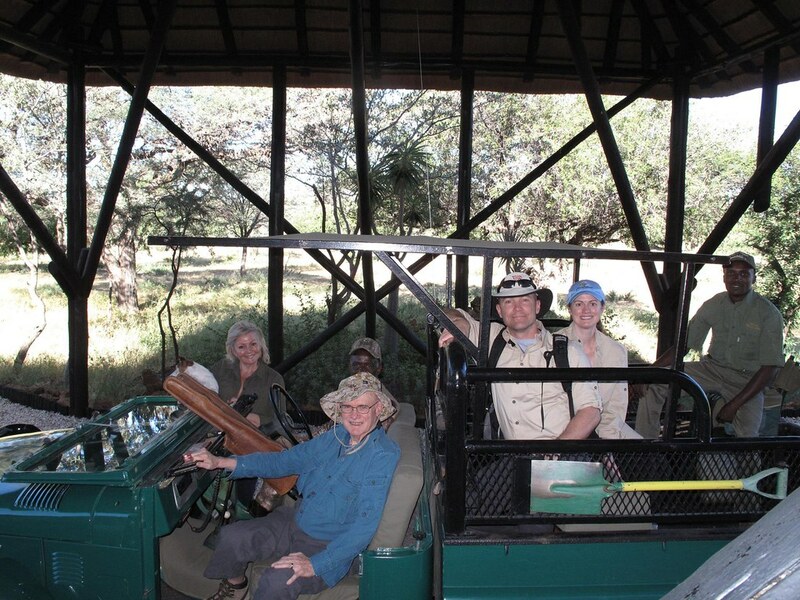 We have had a wonderful time on our first safari and cannot imagine how it could have been better. Thank you for welcoming us onto your land and into your home. 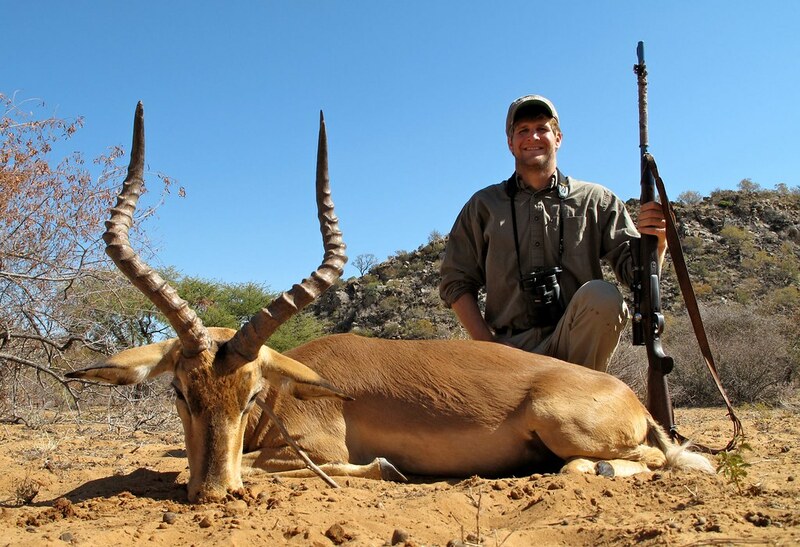 The hunting was superb and we really admire and appreciate your philosophy that combines conserving the land and sustainable wildlife management along with great trophy hunts. 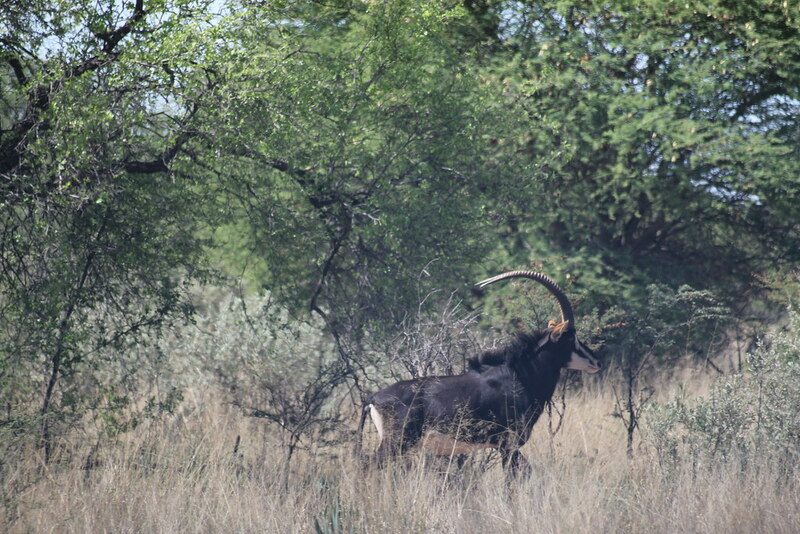 We truly enjoyed watching the animals, learning about their behaviour, as well as the hunt. Johnny was a great PH for us and Martin a great spotter and tracker. Both where clearly key to our hunting successes. We all learned so much and are very grateful to both of them. The lodge design and all of the little details made our stay not only memorable, but unique. We did not know what to expect, but any expectations were certainly exceeded. The food was definitely 5-star, and I would like ALL of the recipes, but I will settle for the bread and the chocolate tart with salted caramel sauce. Henok and his lovely wife make an unbelievable team in the chef and service department, with obvious support by Heleni. Marina and Hanns-Louis could run a cooking school with their talents. Time flies and we can’t believe that our stay is nearly over. 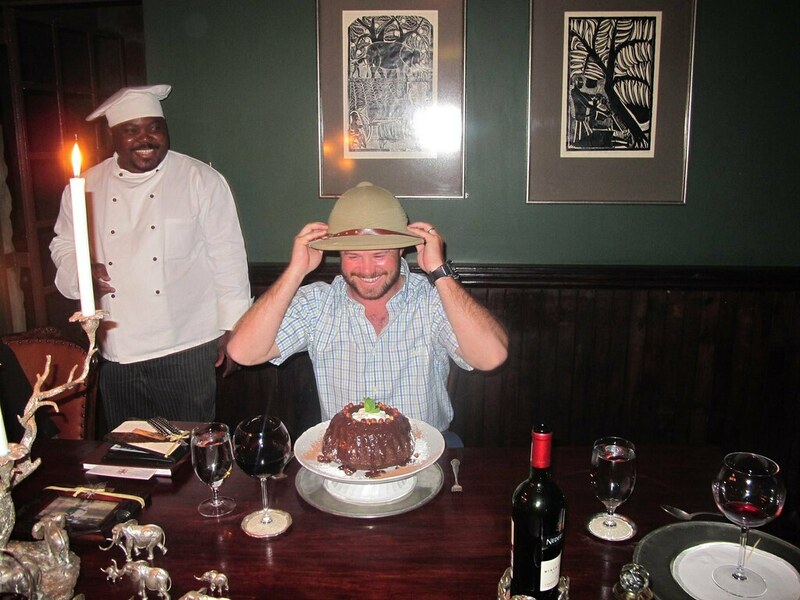 We will remember fondly, and enjoy many laughs about stories told around the “bs ring”, and look forward to planning future visits (we hope), perhaps meeting in Houston, and certainly recommending your wonderful country and Hunters Namibia Safaris to our friends. 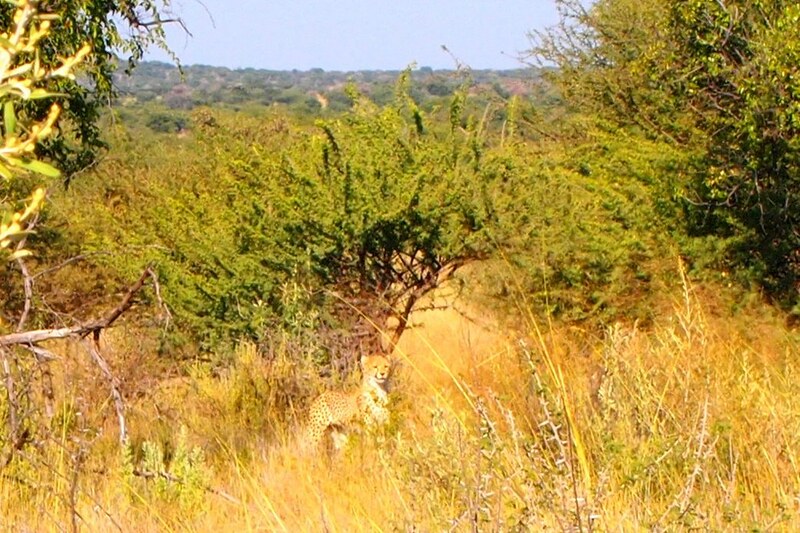 Mairi and I had no idea what to expect coming to Africa for the first time. 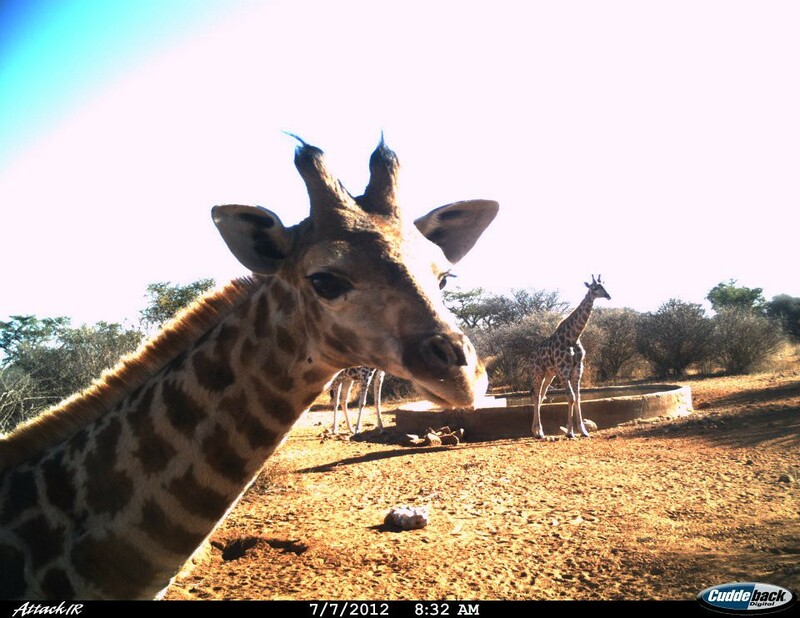 We are very glad our first trip was coming to your game ranch. I hope that I didn’t bore you too much with my talk and questions about the habitat and game programs. I will tell everyone about the health of the land and animals. This has been a great experience, the food, the hospitality, the hunt, and the time with all of y’all. We will for sure tell anyone wanting to come to Africa that this is where they should come. Thank you for the trophy quality we are taking home and the stories. It almost seems silly that just over a week ago, we were making our way across the world to meet the blind date that would become our African safari. Meanwhile, you were waiting to meet us, as well. We were surprised, to say the least, that our trip would be so beautiful, so impactful, and so enjoyable. This, however, comes at an interesting time for our family. One is going to university for who knows how long, another is starting in the professional world… also who knows how long. Mom and dad will be tempted to fill their empty nest, in addition to the dog, with rando children from across the world, now, I’m sure. It is a time of transition and change. It is a time, that could very well be, the last that we spend as a family together. It is without doubt that I can speak for all of us when I say; we could not have made better use of this last opportunity to be a family, anywhere in the world. We thank you for what you have done here, politically, environmentally, everything. This experience has the potential to influence, impact, and change. We can’t wait to see what paths this, once blind adventure, will show us next. Thank you so much for making my first hunting experience a spectacular one. I leave your lodge today with wonderful memories of all the beautiful animals and this amazing country, and wish I could stay so much longer. I hope you’ll keep everything unchanged so I can have this perfect experience again when I return! Thank you from the bottom of my heart for the beautiful visit at your lodge and in your country. We appreciated the attention to every detail, and we felt like this beautiful place was out home. 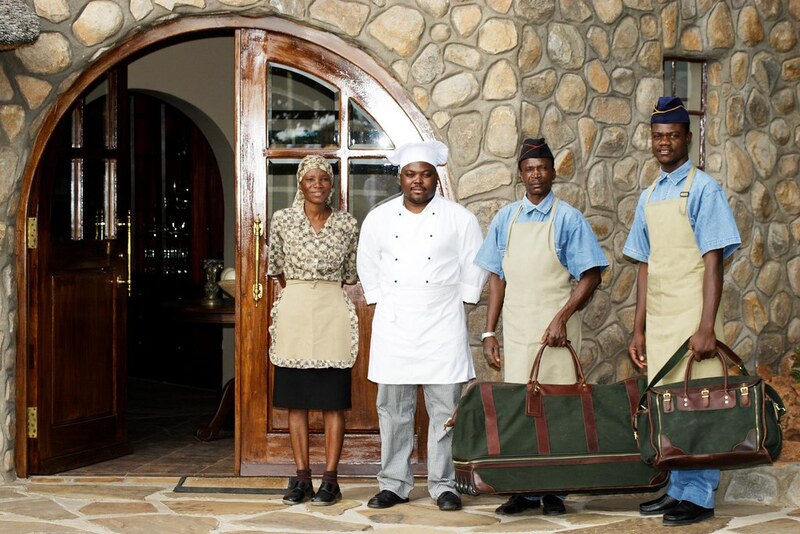 From the meal – you do have THE BEST chef in Africa, to the comfort of our rooms it was all first class. Mark had a wonderful time hunting – Johnny and martin took great care of him. It’s been a wonderful safari. Johnny is a superb PH. He explained the Fauna and Flora as we went along. 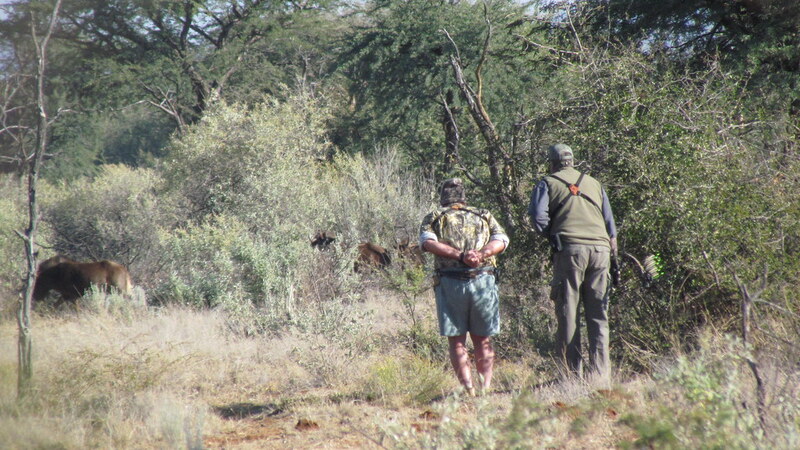 He and his tracker were skillful and I was happy with the length of the stalks and with the amount of game we took. The accommodations were first rate and the food gourmet. 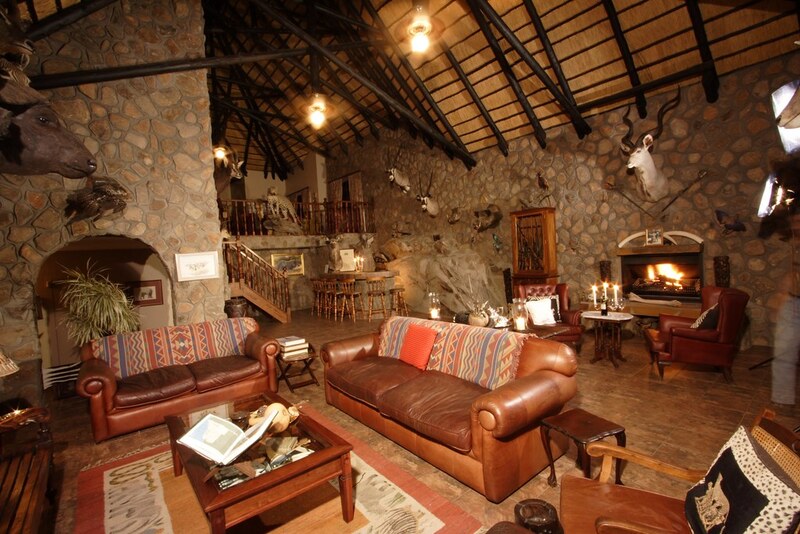 It’s a high end hunting lodge which even non-hunters can really appreciate. 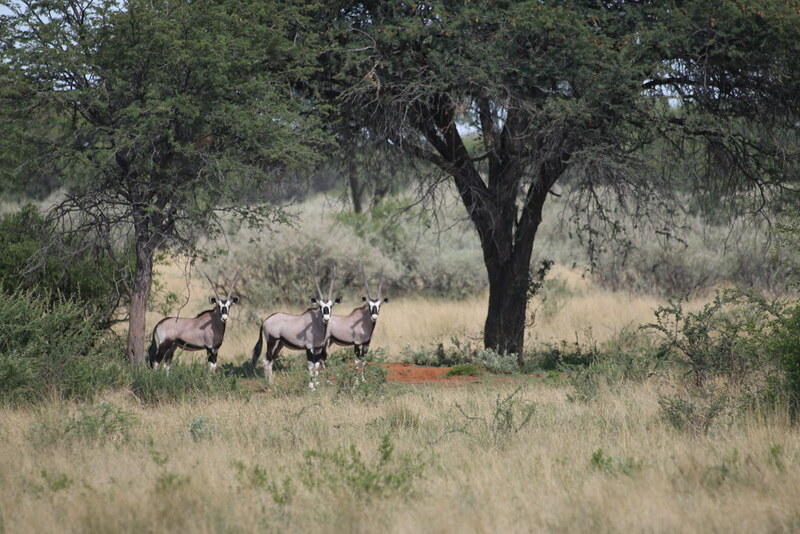 Namibia is such a colourful country and it is well worth taking time off from hunting for sigh-seeing. For us, from the USA, this is an exotic adventure and we met some wonderful and friendly people. I can’t stress enough how important it is for visitors to have help with immigrations and customs. You walked us through the process and there were no surprises. Thank you for a wonderful vacation experience. 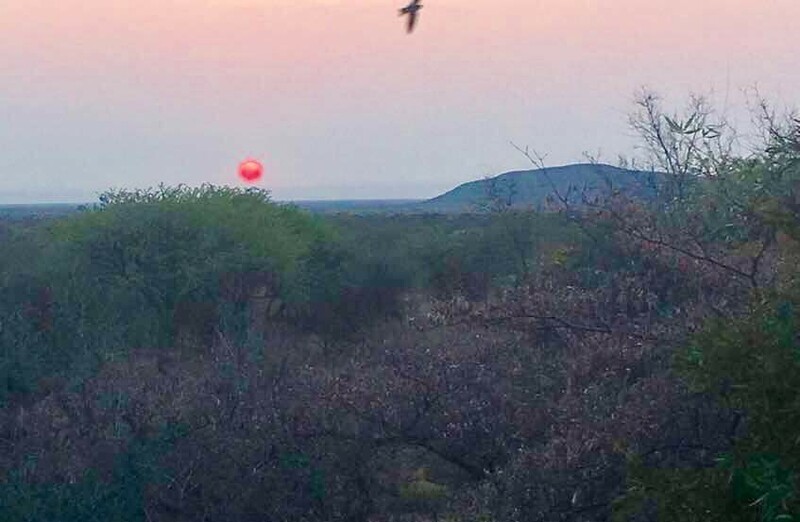 Never in my travels around the world have I experienced a more beautiful destination than the wonderful country of Namibia and your spectacular hunting area. Thank you so very much for opening your lodge to me, and making me feel like one of the family. The experiences from dawn to dusk every day will always be with me. Never have I seen so much game and so many trophy animals. I regret so much that I waited so long to hunt with you! 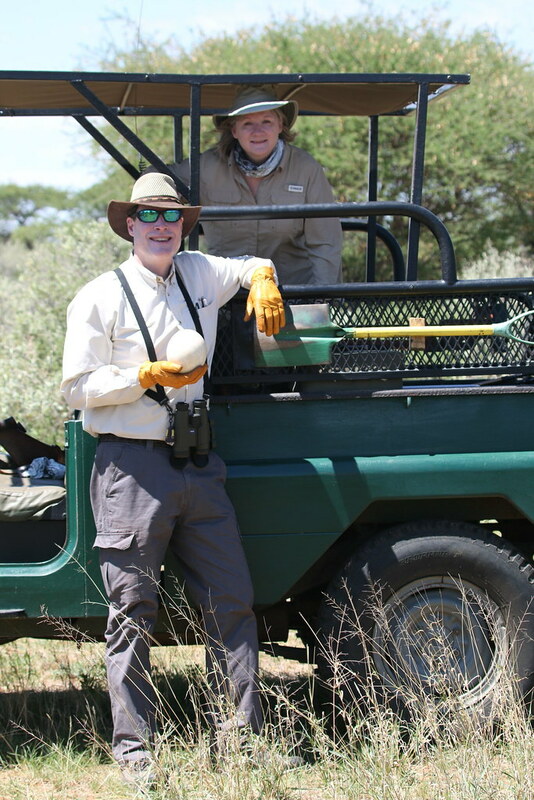 Johnny and martin were excellent companions for any hunter whether on their first time safari, or their fifth such as I – they are excellent. 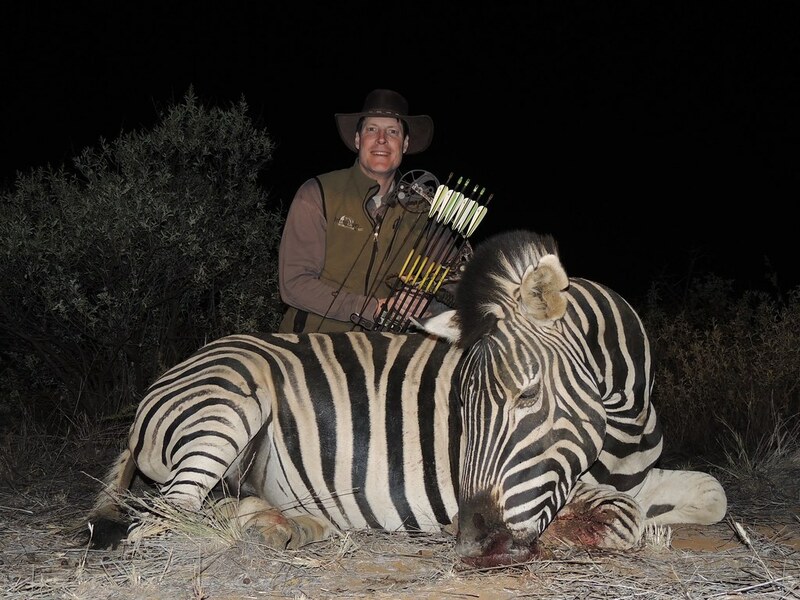 I am very proud of my excellent Oryx and Hartmann’s Zebra trophies. 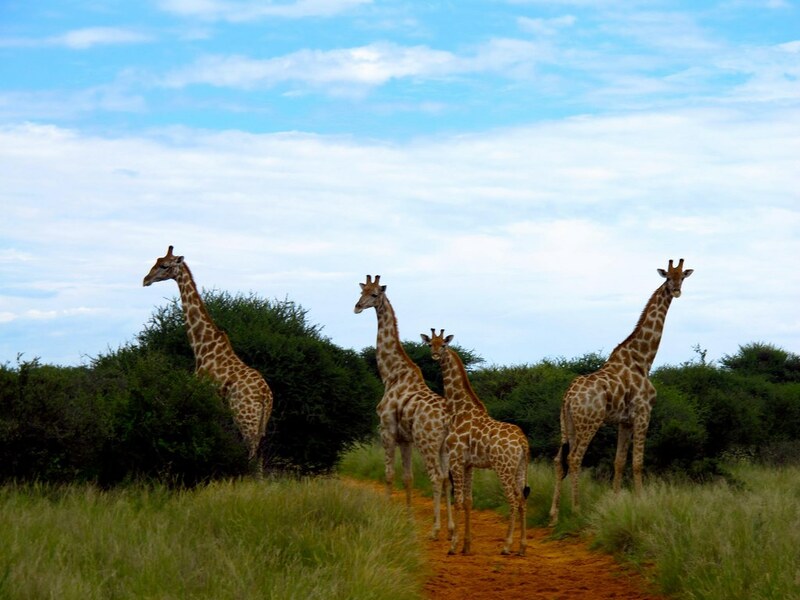 You have truly a safari experience that leaves nothing of comparison. It is THE best. I will long cherish the fireside chats and dinners around the big table. Your chef and wait staff were excellent as well. All y’all have got it together! 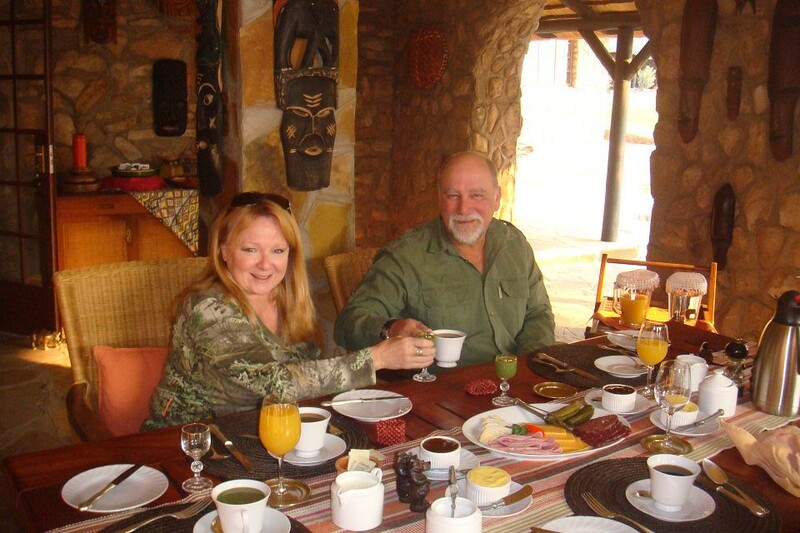 You have been so gracious to allow me to have an experience with your safaris. From the very beginning I felt like I had known you for a lifetime. Memories of this experience will stay in my heart for the rest of my life. Your accommodations were five star, with outstanding amenities, food and service. Your attention to the little things blew my mind. I only wish my wife of 46 years, Joanna, could have experienced your hospitality with me. On the days of my hunt – oh so many species of animals – it was one of the most memorable hunts I have ever been able to enjoy. Johnny and Martin were outstanding, so not only was it a hunt but it was a learning experience. I applaud you for your work for your local communities, and your obvious love for the school and the village. Words cannot describe how impressed I am – you have created a paradise in paradise!! Never before have I seen such a magic place. Just everything is perfect! You are brilliant hosts, and I cannot thank you enough for hosting me. Keep and protect what you have built here. It is a unique place in your beautiful Namibia. I look forward to visiting you again soon!